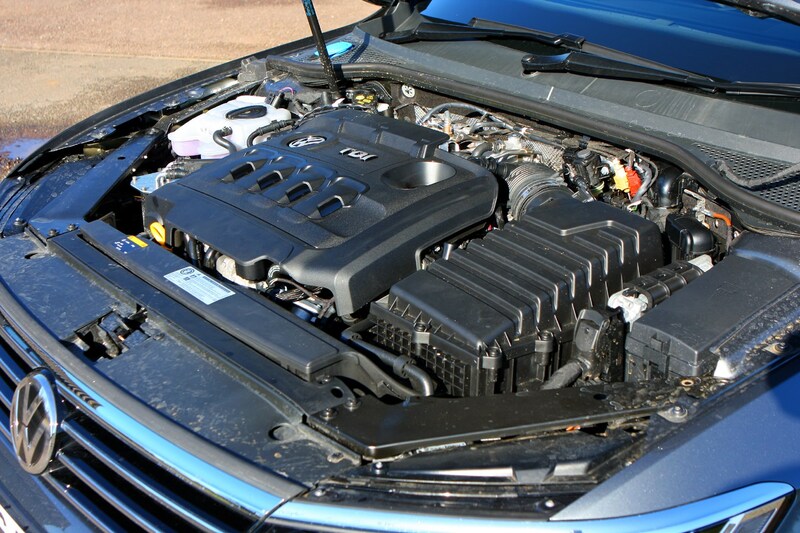 Insurance group: 12 - 28 How much is it to insure? 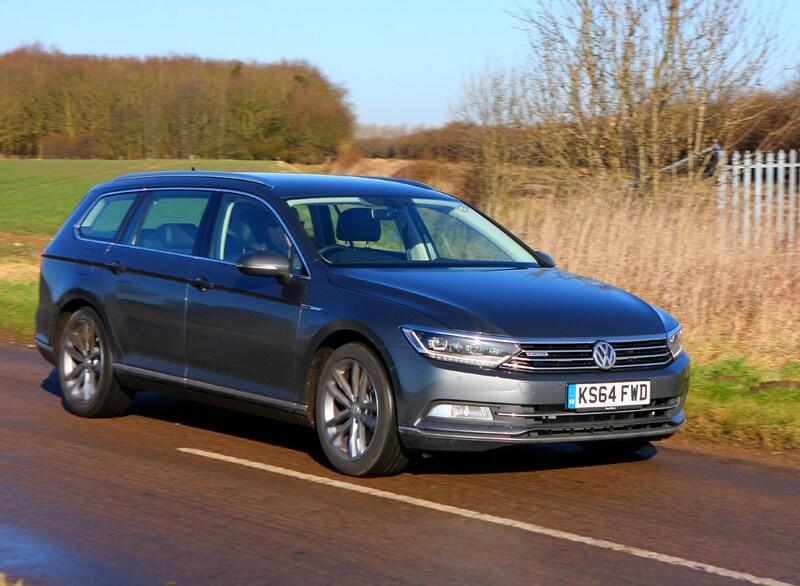 The Volkswagen Passat Estate is far from the most exciting estate car, but it's undeniably practical and pleasant to drive and sit in. 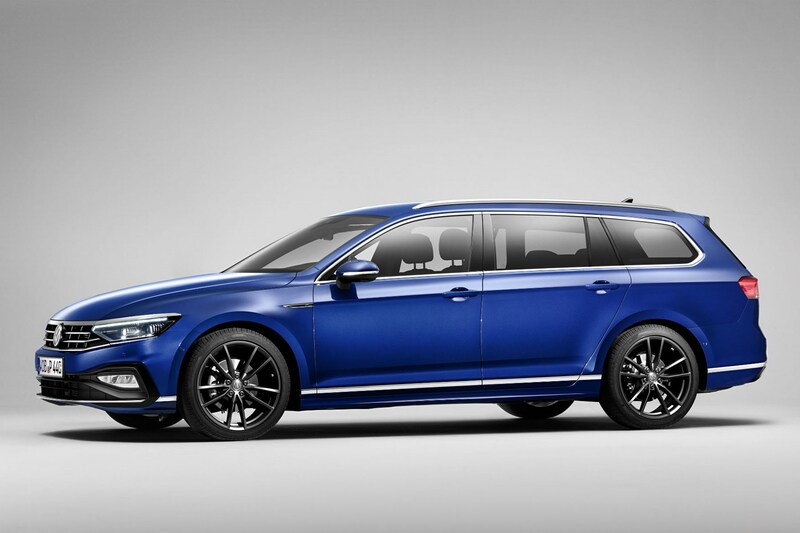 As a result, it's an appealing alternative to the Mazda 6 Tourer, Volvo V60 and the larger Jaguar XF Sportbrake, which surprisingly can work out cheaper than the Passat on the manufacturers' PCP finance schemes. 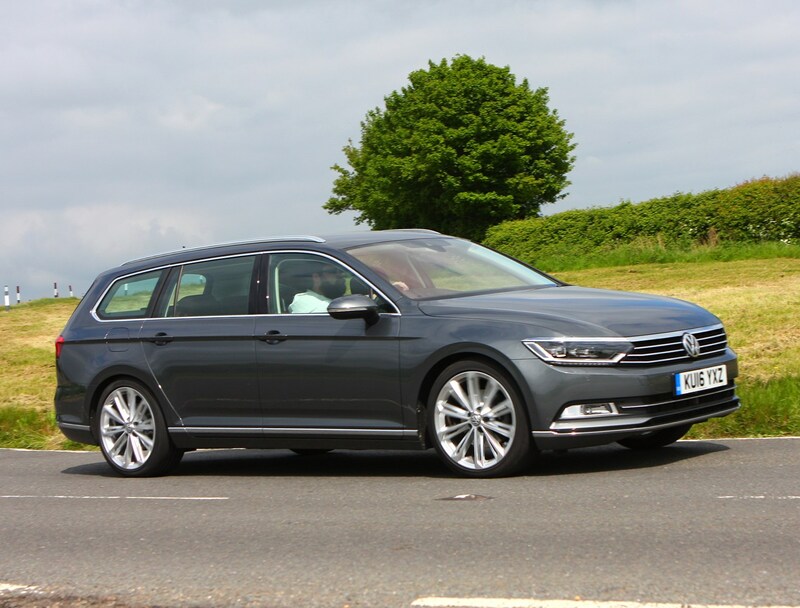 Other more mainstream estate car options include the Ford Mondeo Estate and the Vauxhall Insignia Sports Tourer, though neither can match the surprisingly upmarket feel of the German car. 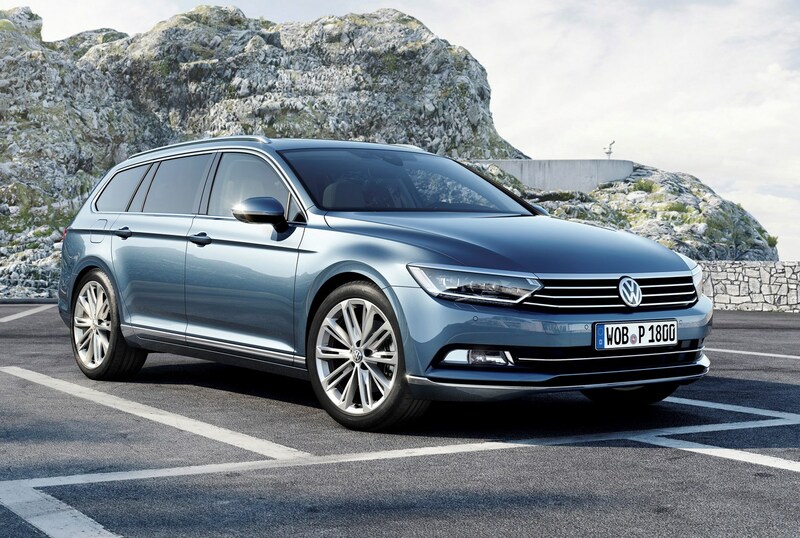 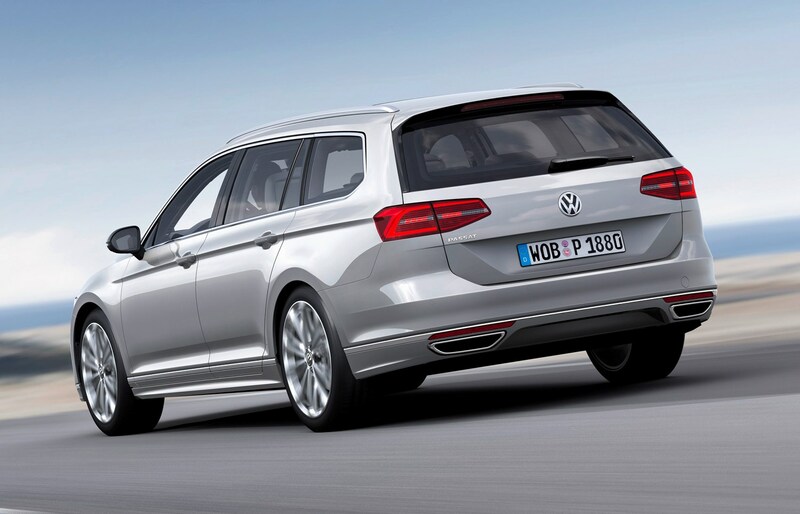 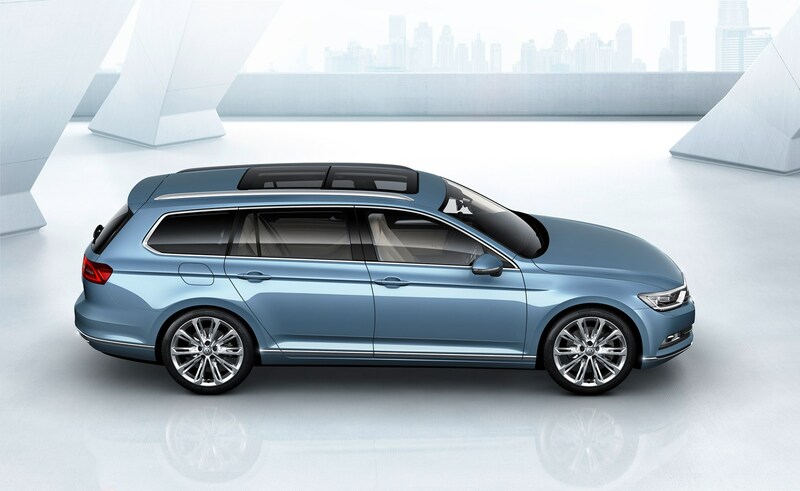 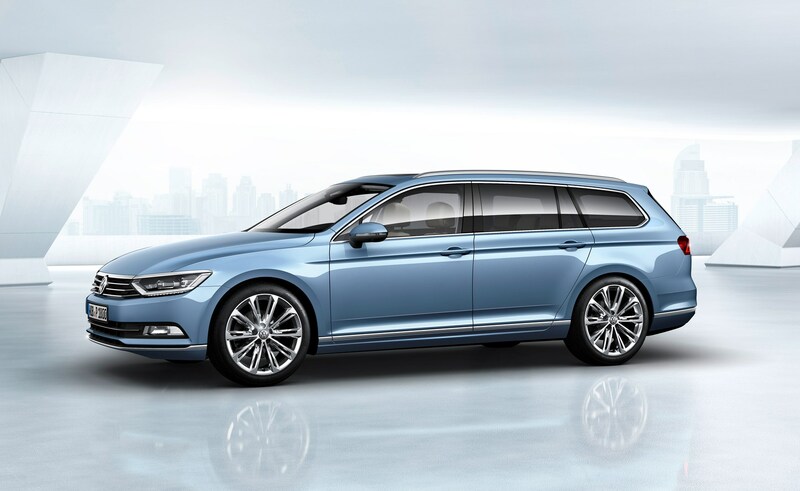 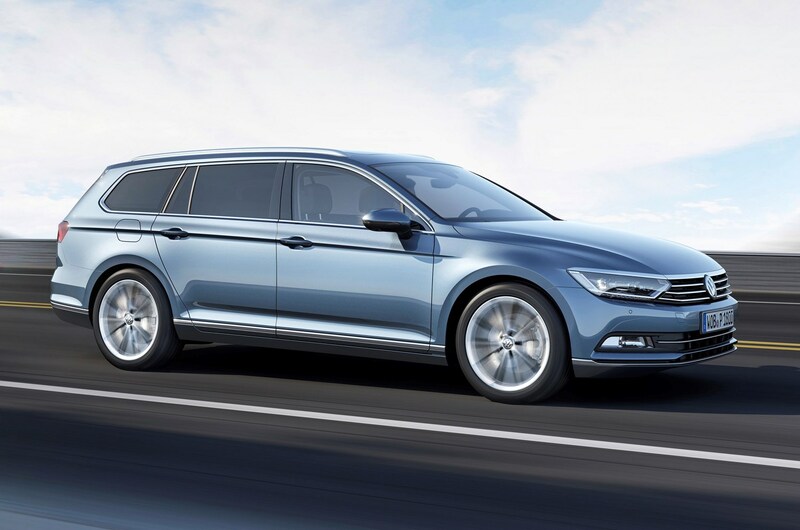 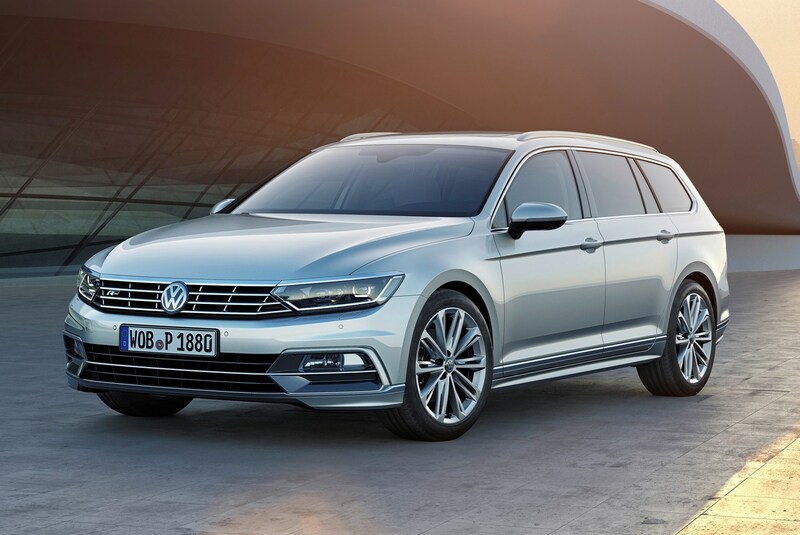 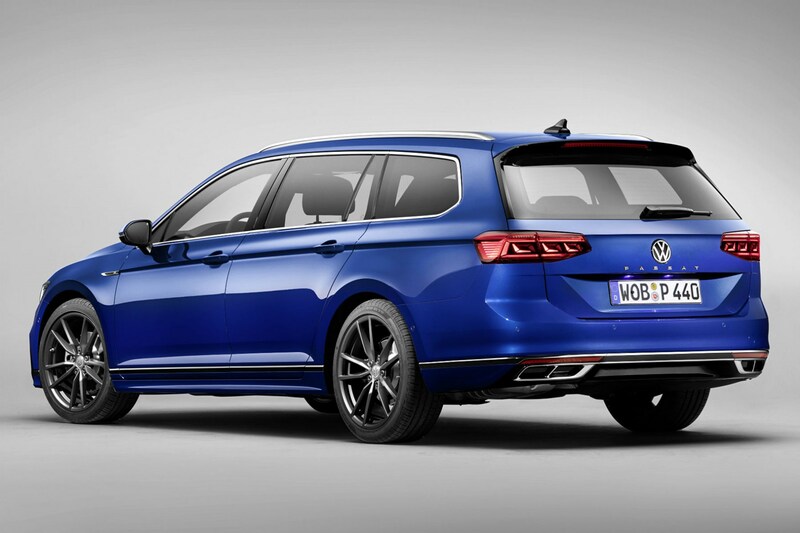 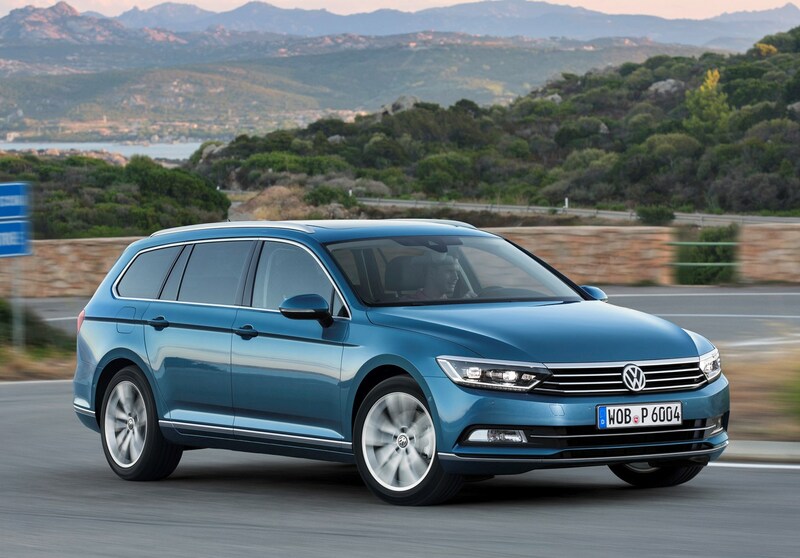 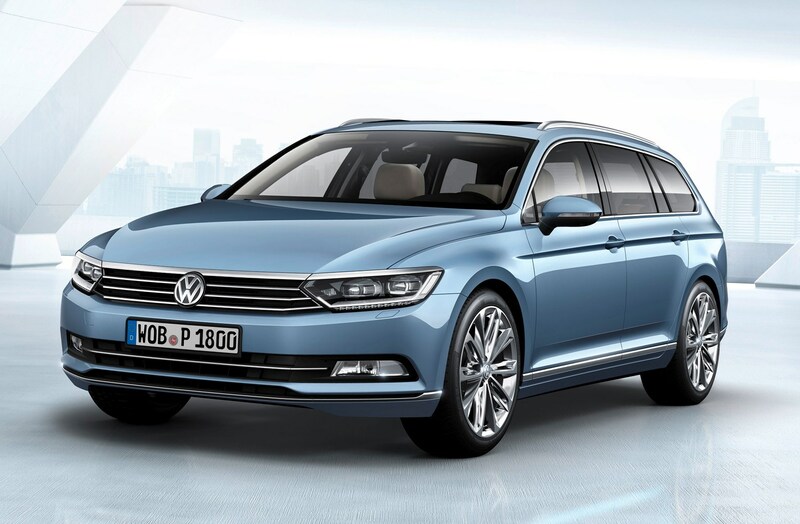 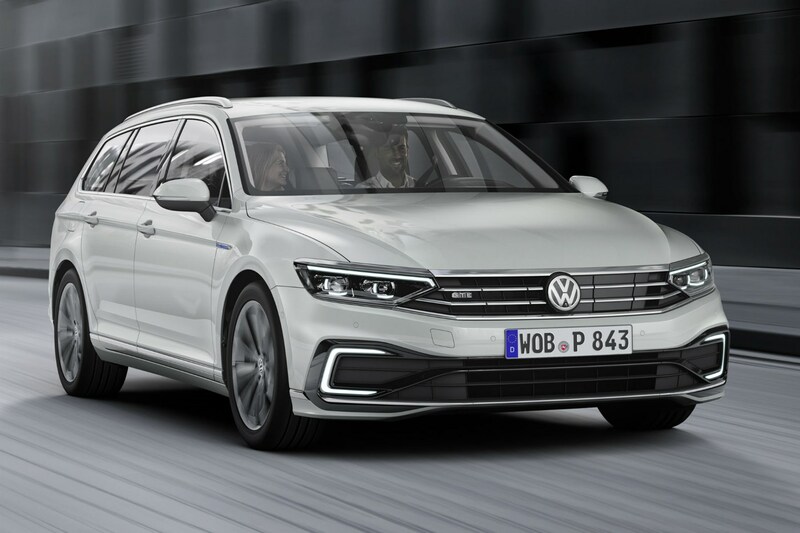 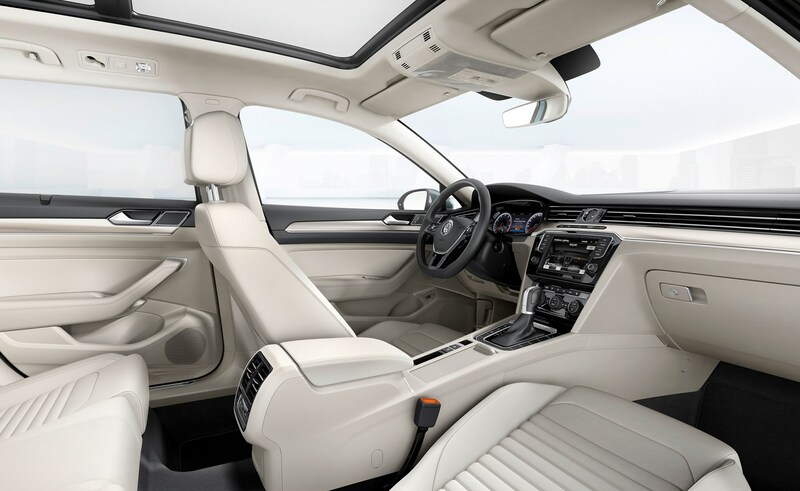 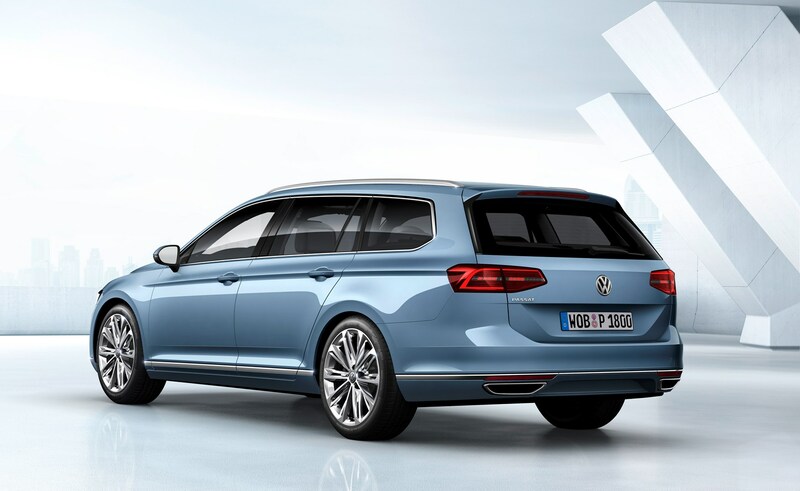 Updated in 2019 with more in-car tech, self-driving kit and a plug-in hybrid Passat GTE with greater electric range, the Passat Estate is an even more capable machine for families and business users alike. 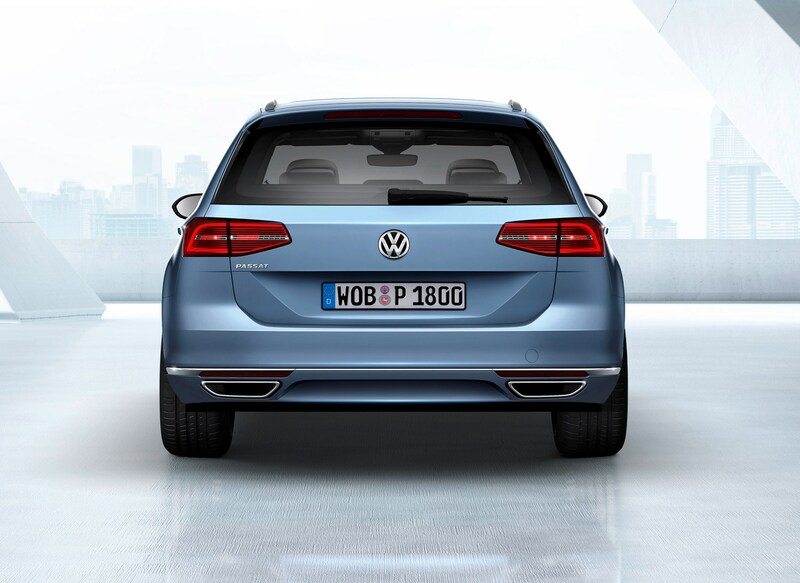 That's despite styling which is only a slight evolution of the 2015 design. 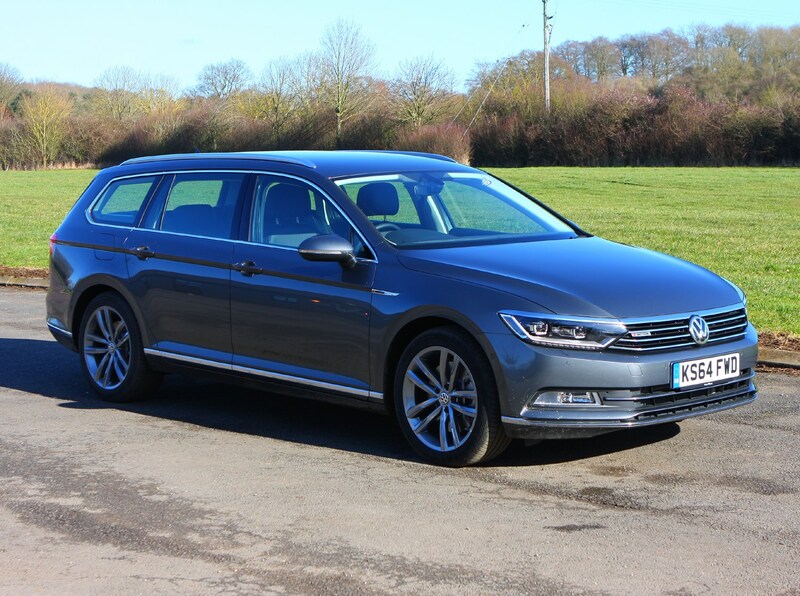 Yes, it may have an upmarket interior, but car finance deals on the Passat are pretty keen, meaning that monthly payments for this large estate can work out at less than you expect. 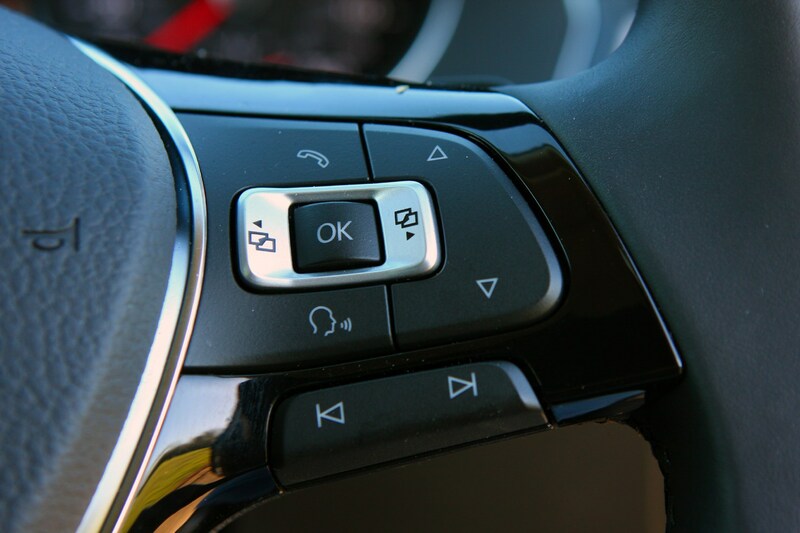 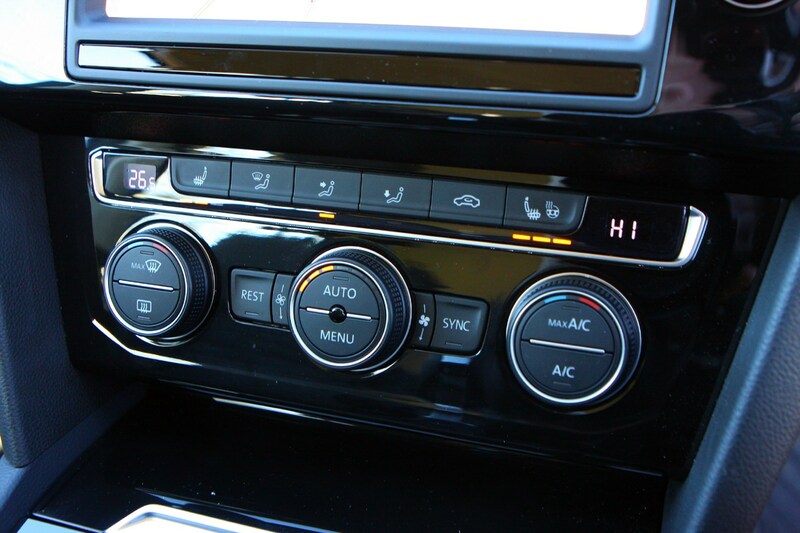 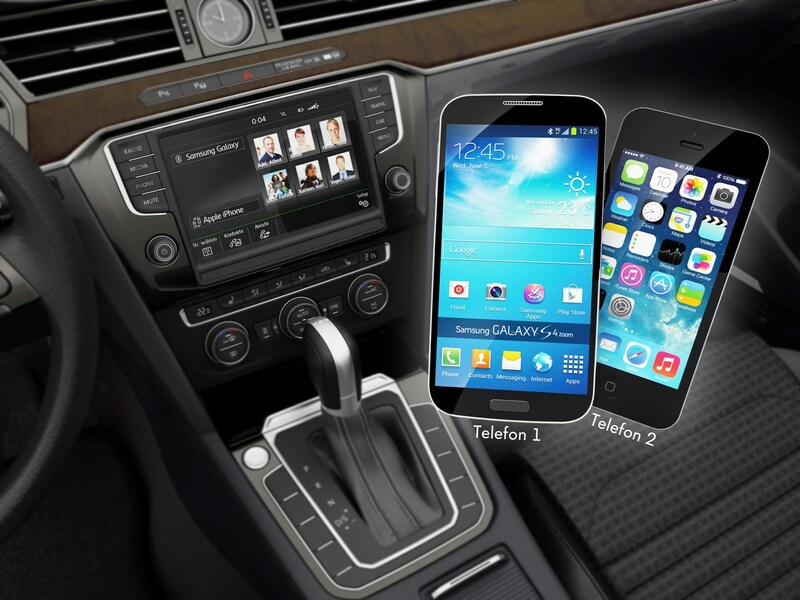 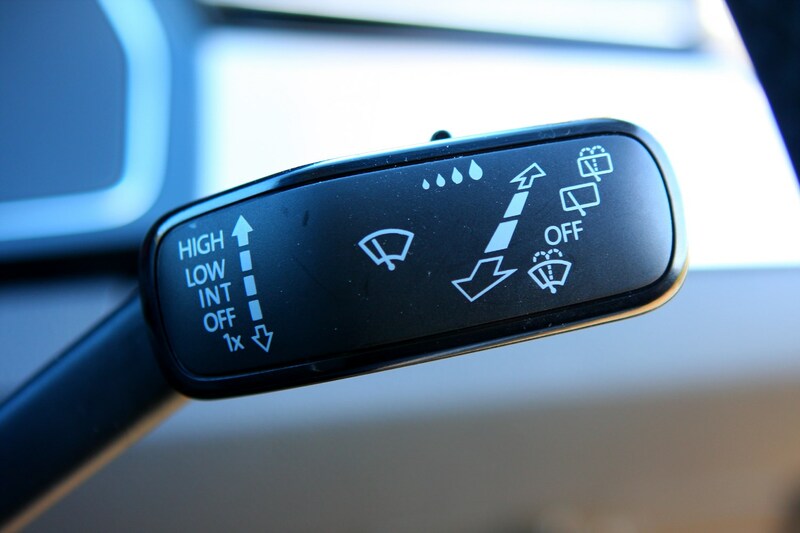 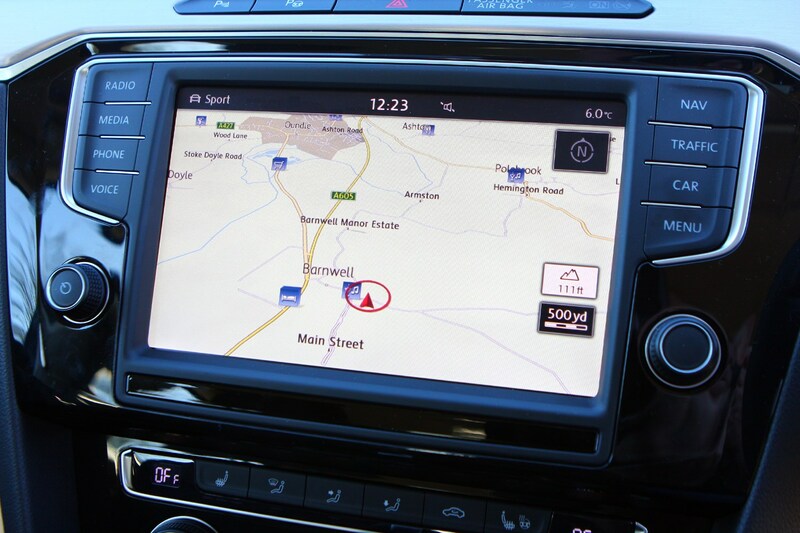 Consider the fact that you get a sophisticated new media system with voice controls, self-driving kit that can keep you in your lane and speed the car up and slow it down autonomously and it's a compelling option. 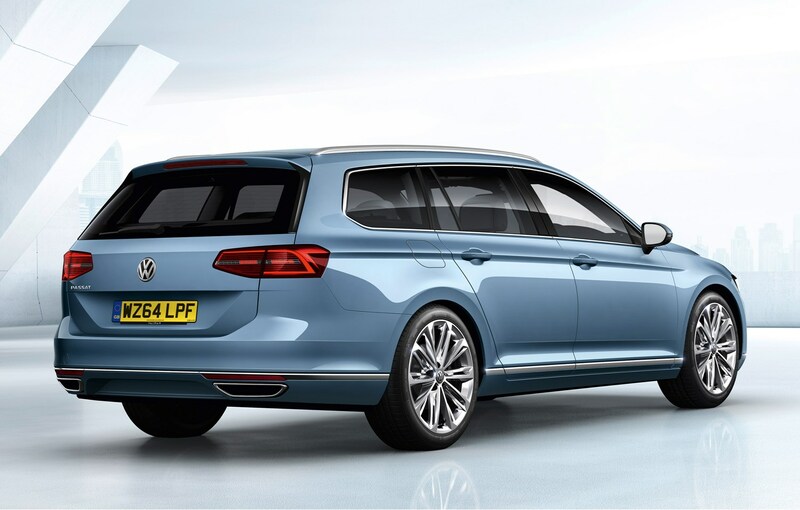 Another improvement for 2019 is a plug-in hybrid model that can travel further on each charge - meaning that you can cover up to 34 miles on electric-power alone. 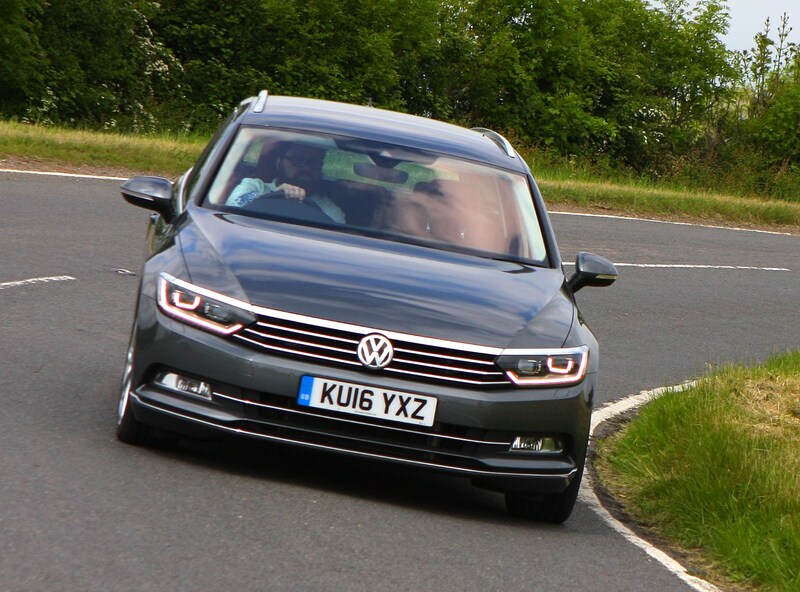 That's around 30% up compared with the previous incarnation, meaning less charging and topping up with petrol. 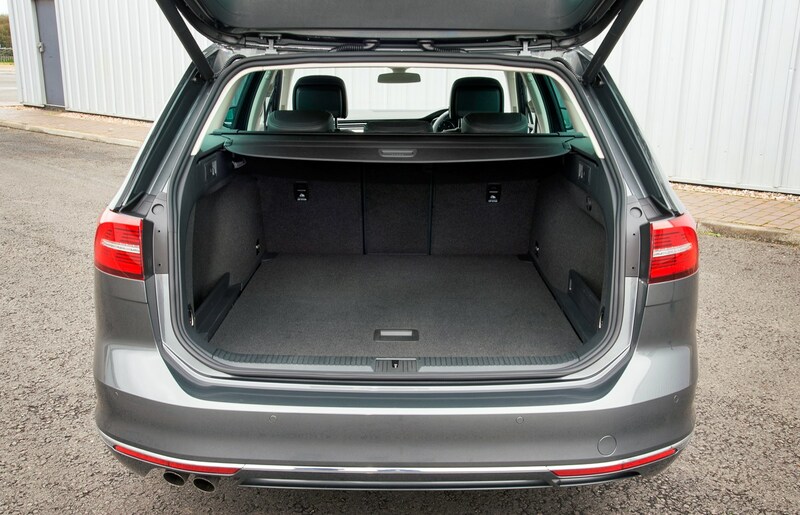 One thing that hasn't changed is the enormous boot and the pleasant driving experience. 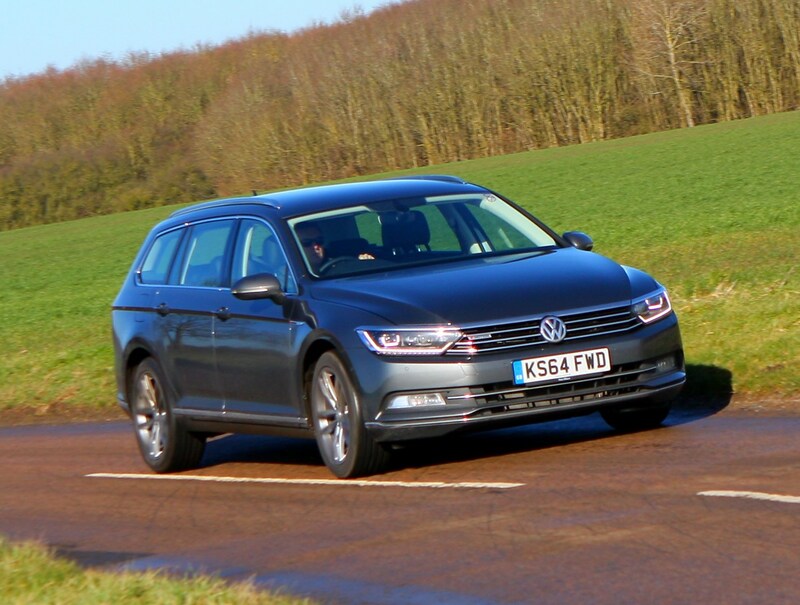 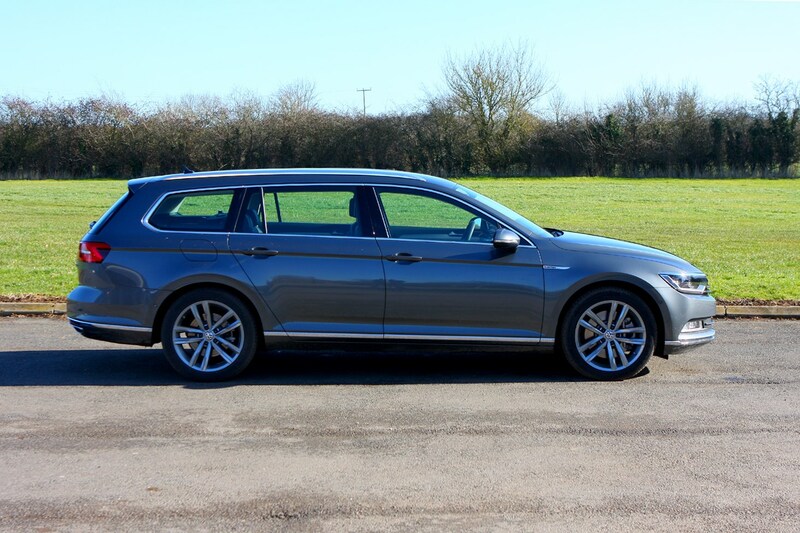 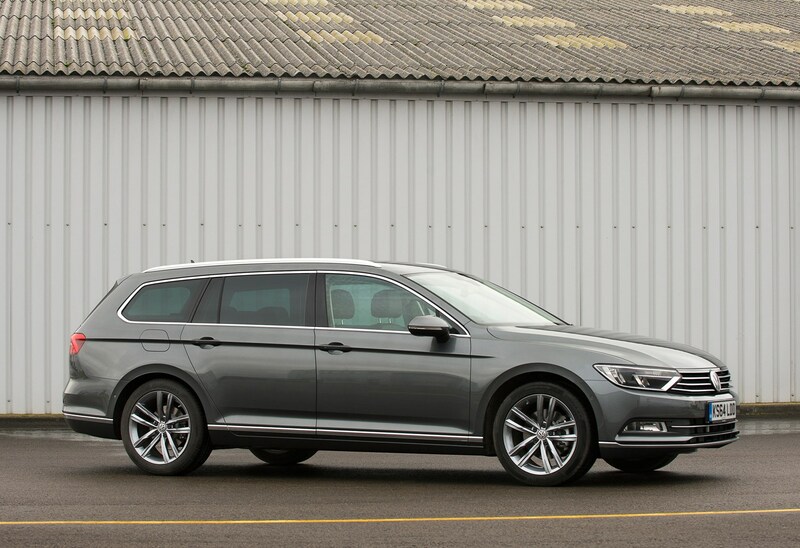 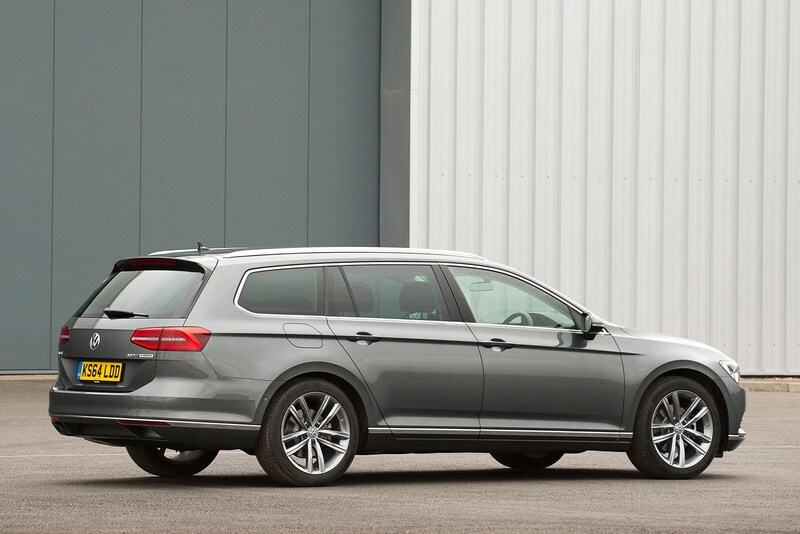 The Passat Estate is still the consummate commuting cruiser it always was – incredibly comfortable on the move, quiet, refined and relatively cheap to run. 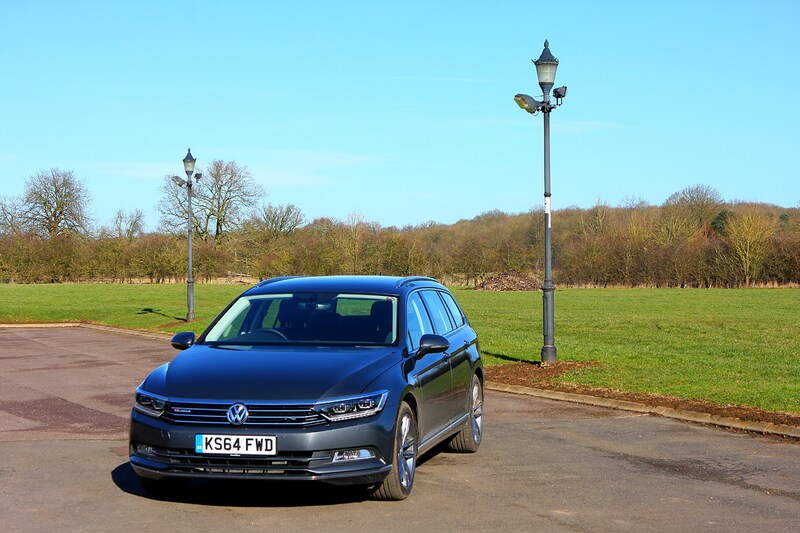 For those reasons VW expects that 80% of these cars will go to fleet drivers, but if you’re looking for a family car then it’ll do that job brilliantly too. 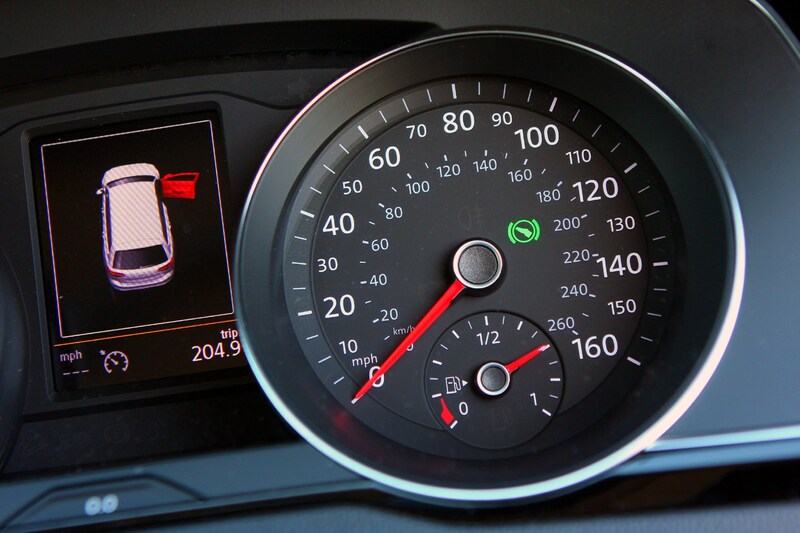 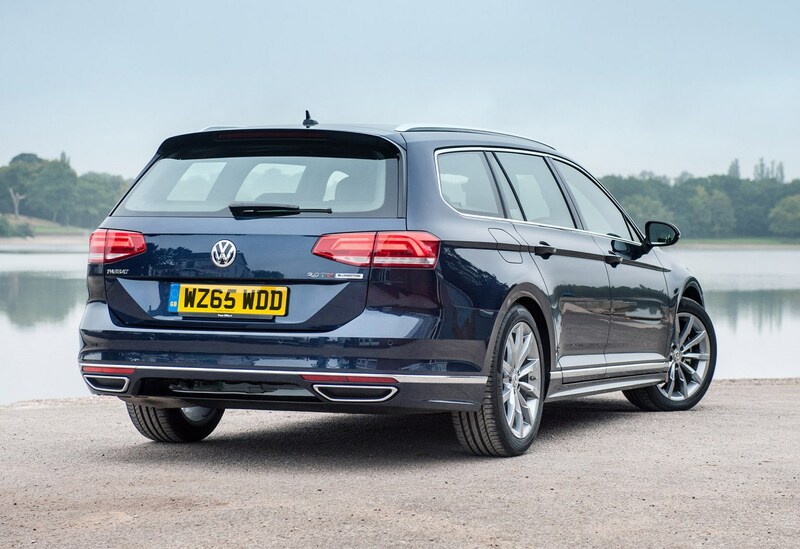 With economical petrol, diesel and plug-in hybrid options, there should be a model to suit - whatever your budget and whatever type of driving you do. 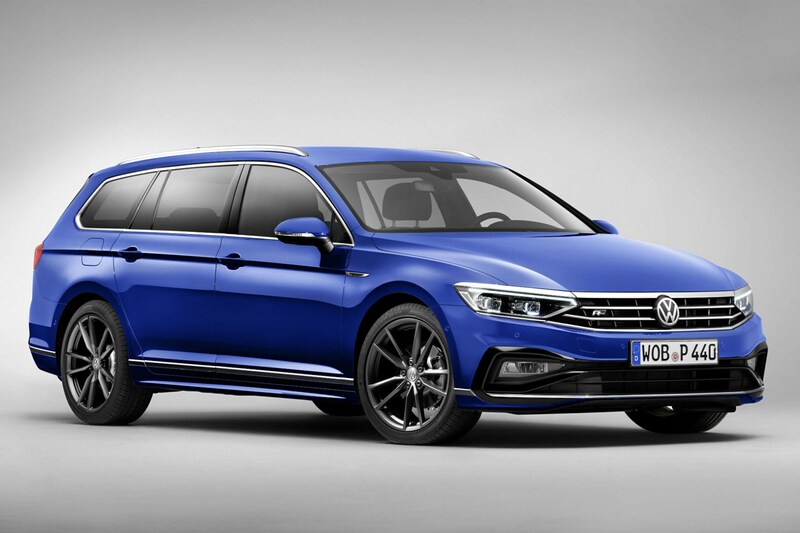 Eight different engine options are available - including the plug-in hybrid GTE model above - ranging from an economy-focused 120hp diesel to a 272hp performance-oriented petrol. 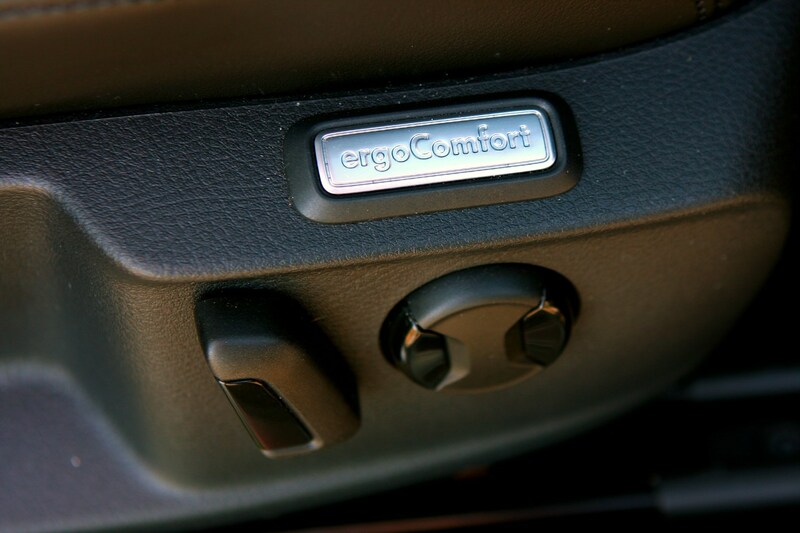 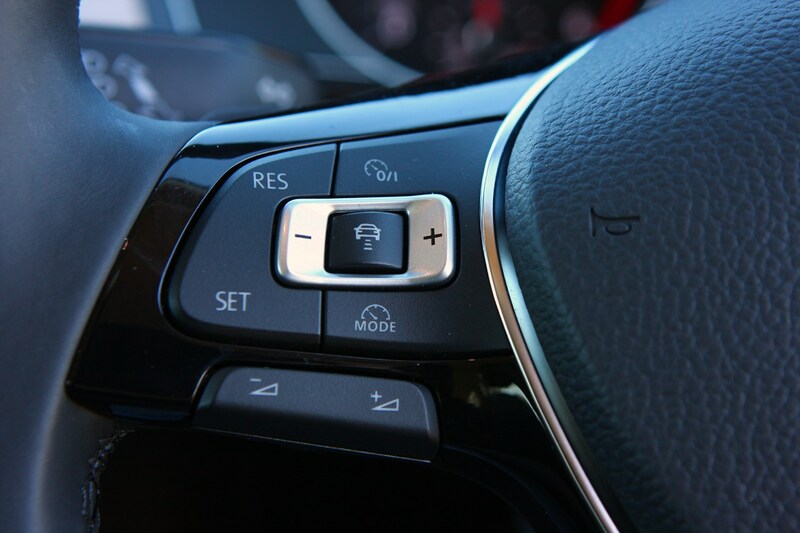 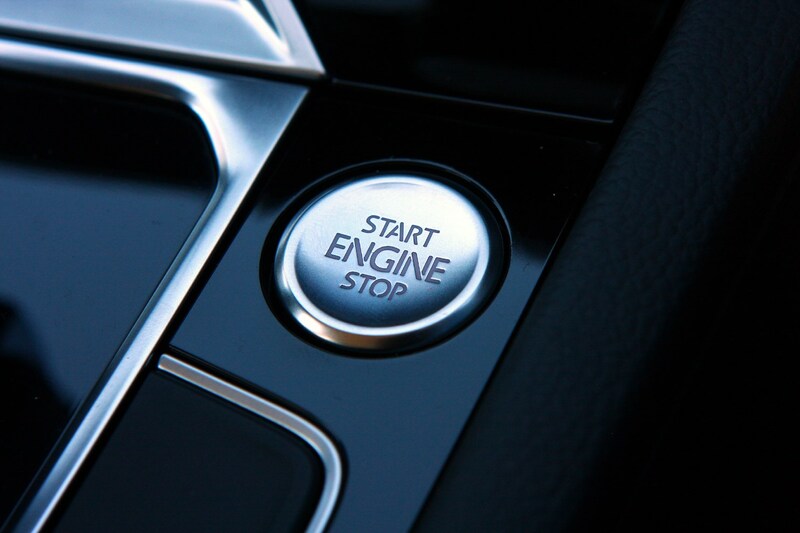 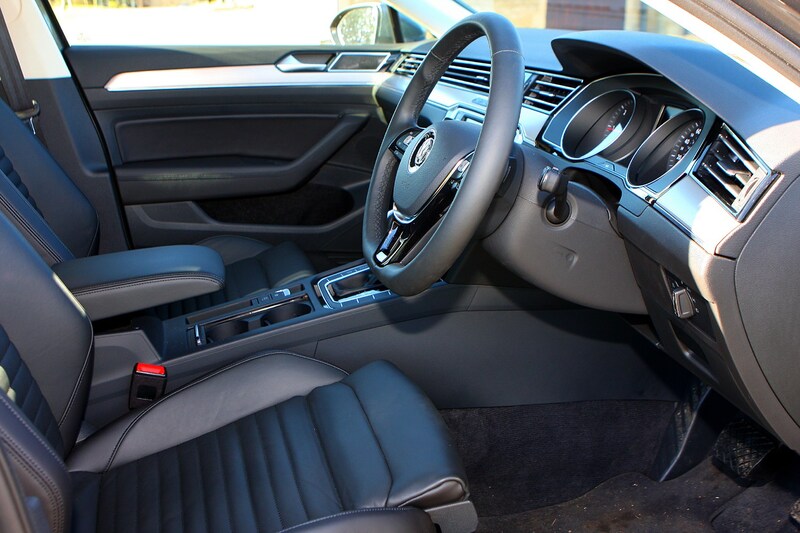 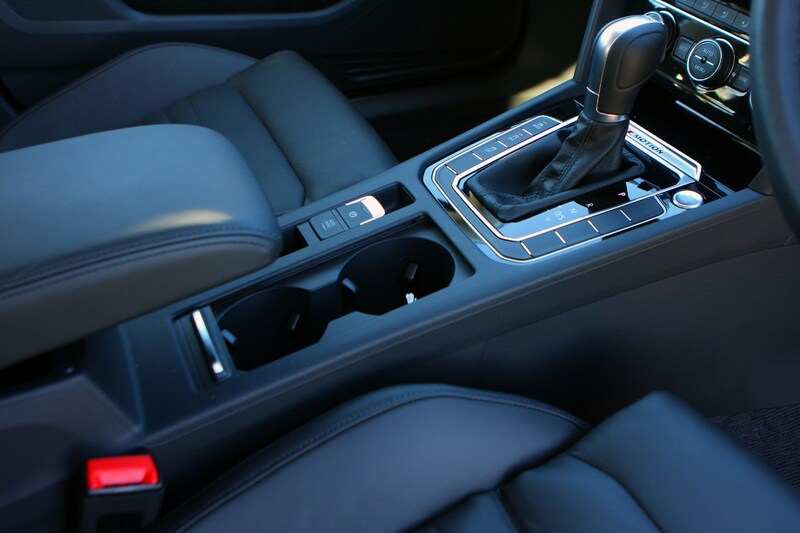 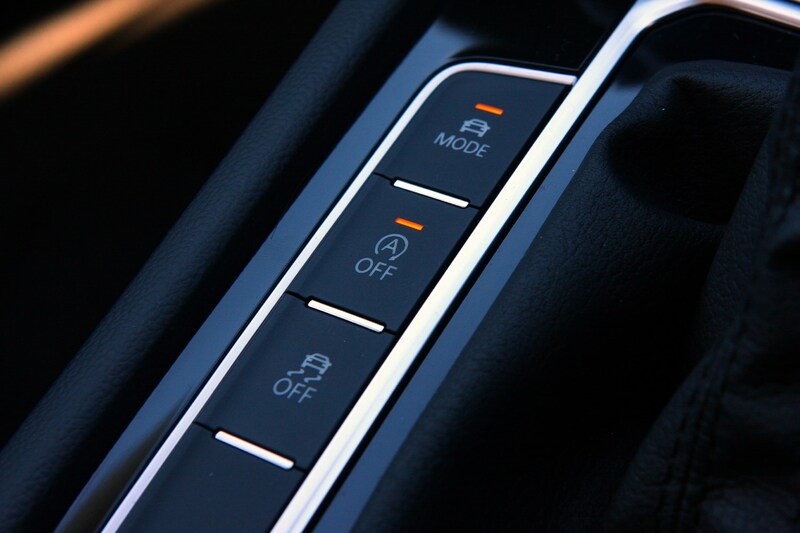 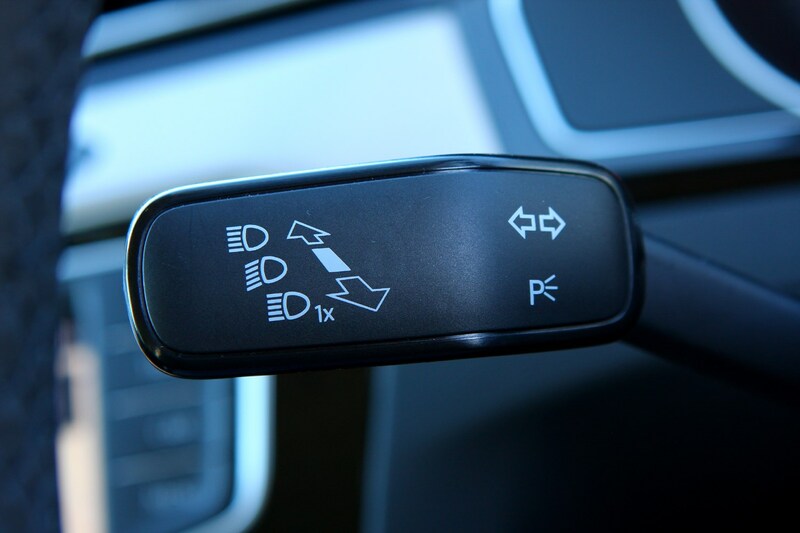 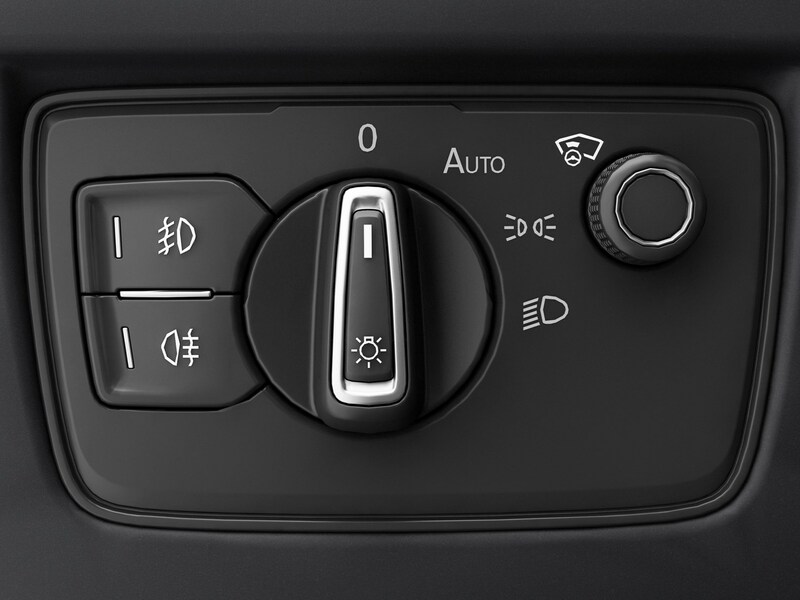 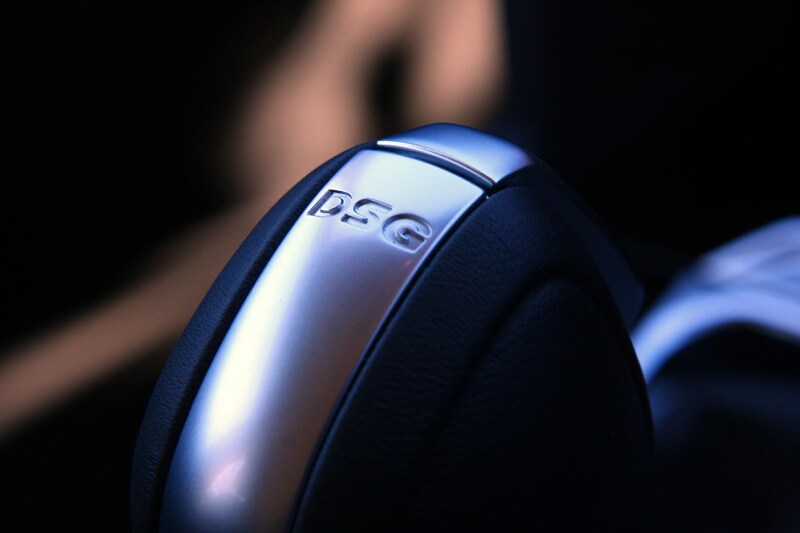 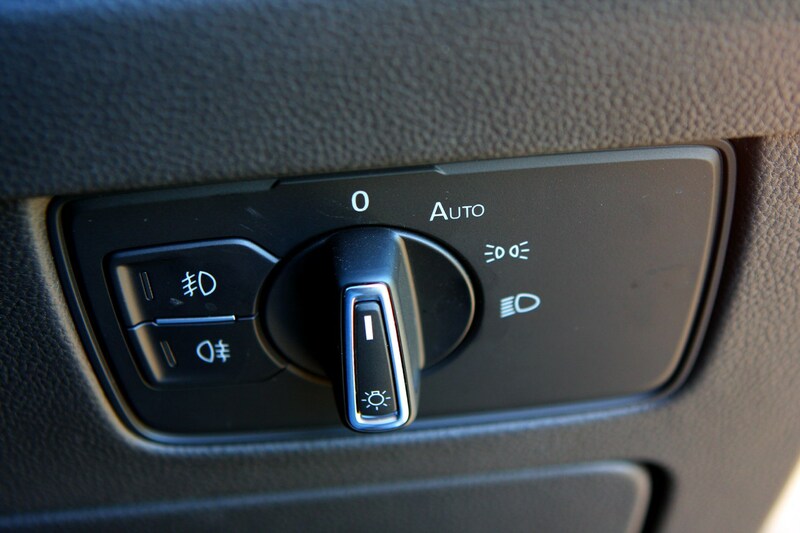 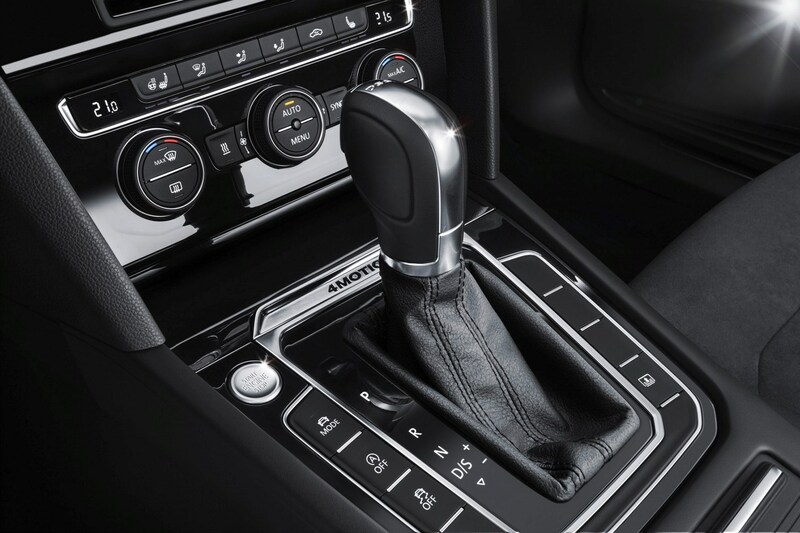 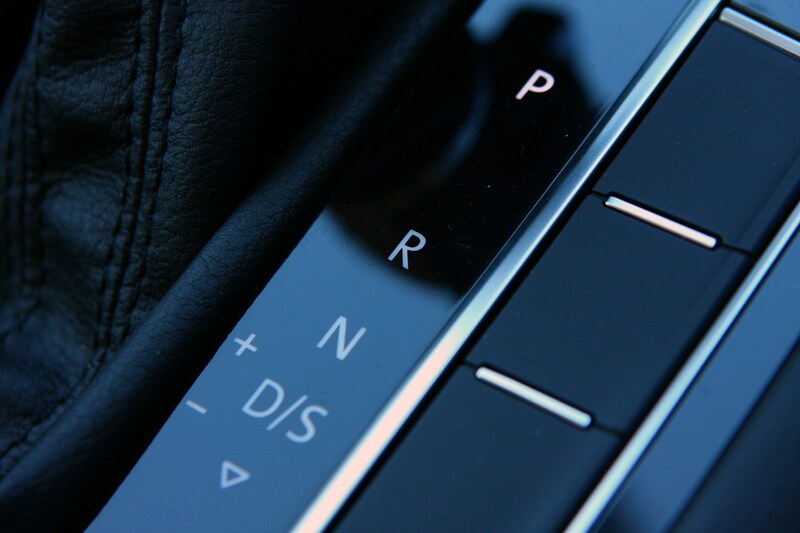 You also have a choice of manual and DSG automatic gearboxes. 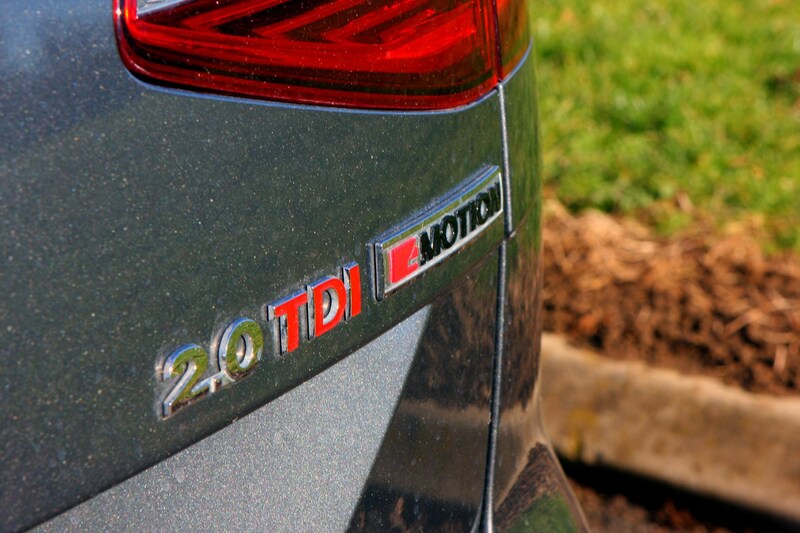 The 120hp 1.6 TDI is likely to be the one to pick for best fuel economy and CO2 emissions, but we’re expecting the 150hp 1.5-litre petrol and the 150hp 2.0-litre diesel versions to be the bestselling versions. 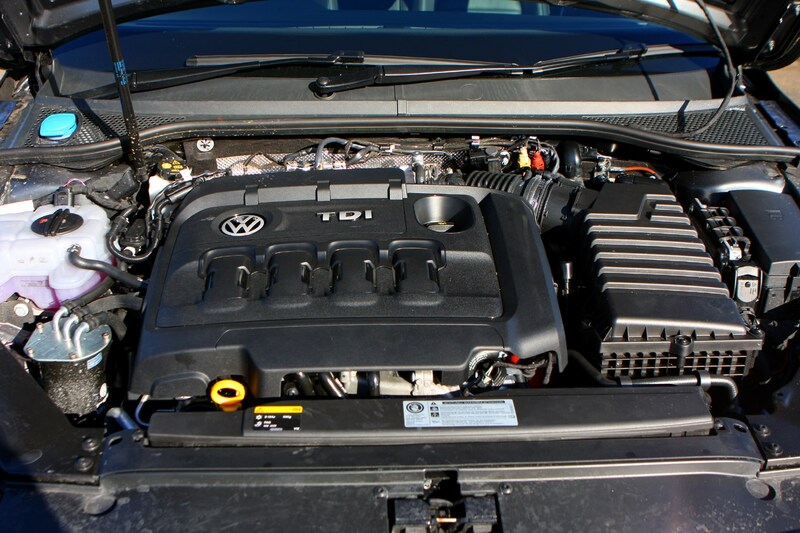 Other options include 2.0-litre petrols with 190hp and 272hp, plus 2.0-litre diesels with 190hp and 240hp. 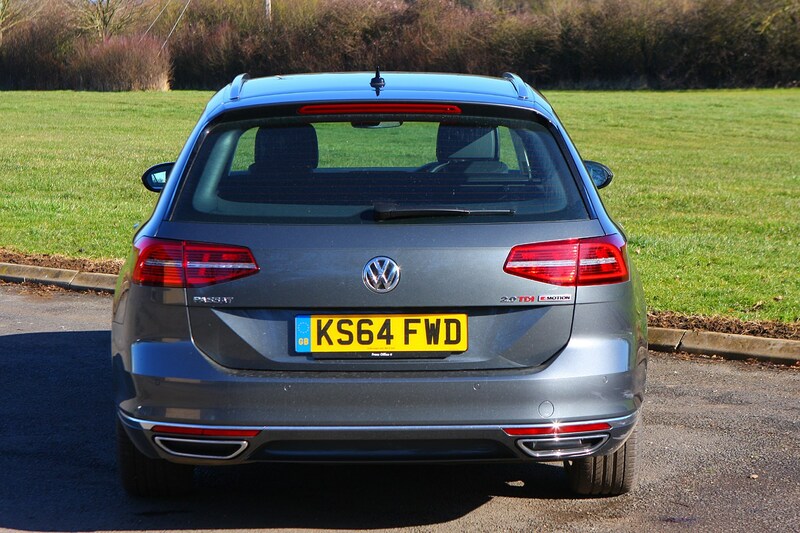 All engines are turbocharged and even the entry-level petrol offers a surprising amount of low-engine-speed punch. 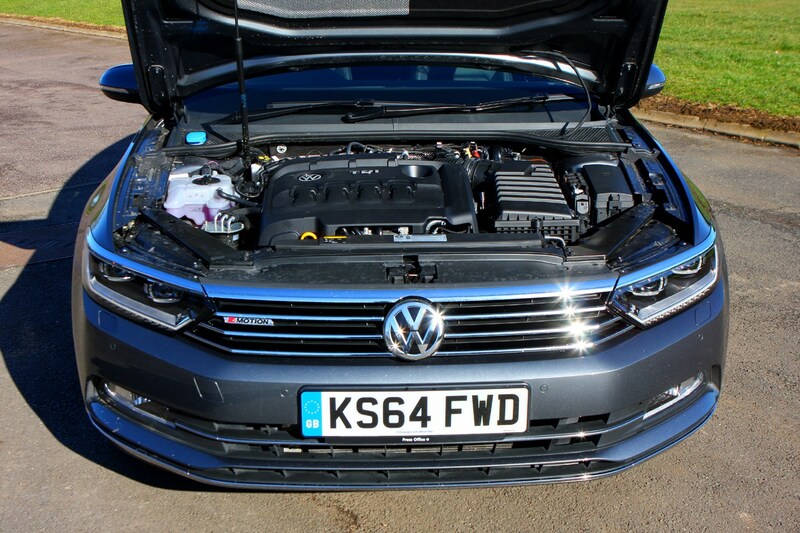 Meanwhile, the most powerful diesel should be able to blast from 0-62mph in around six seconds, with the 272hp petrol likely to cut that figure further. 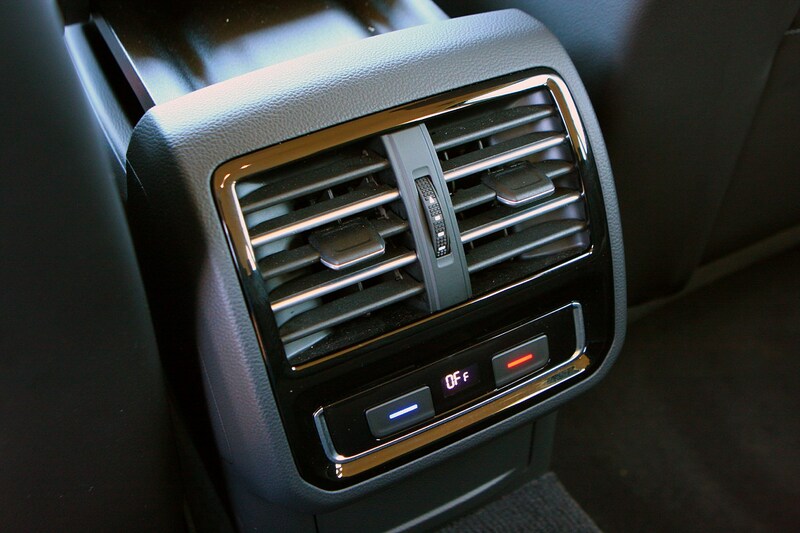 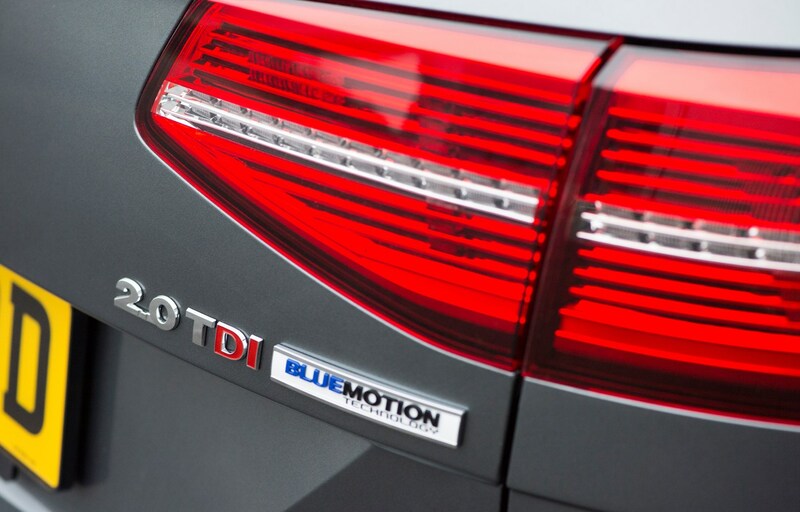 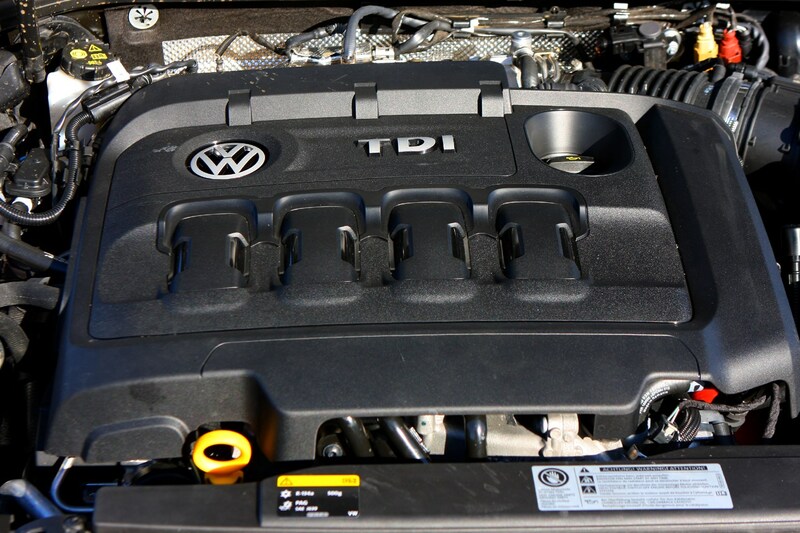 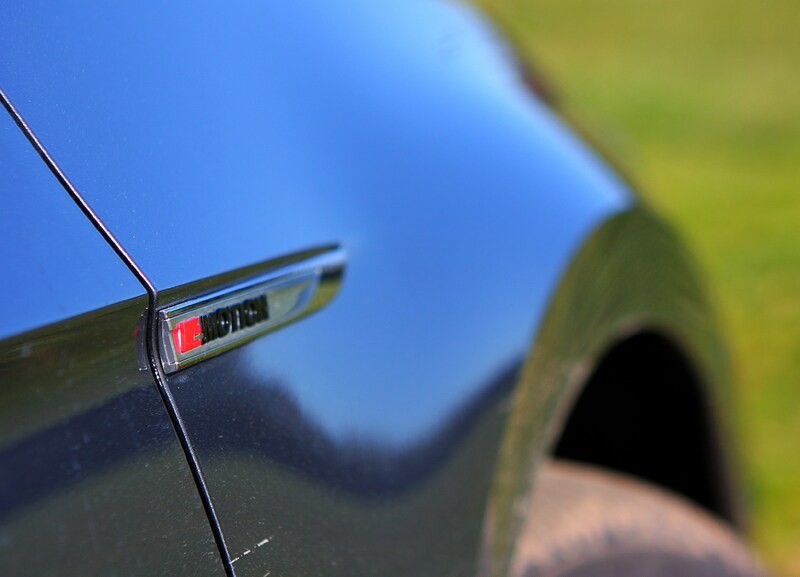 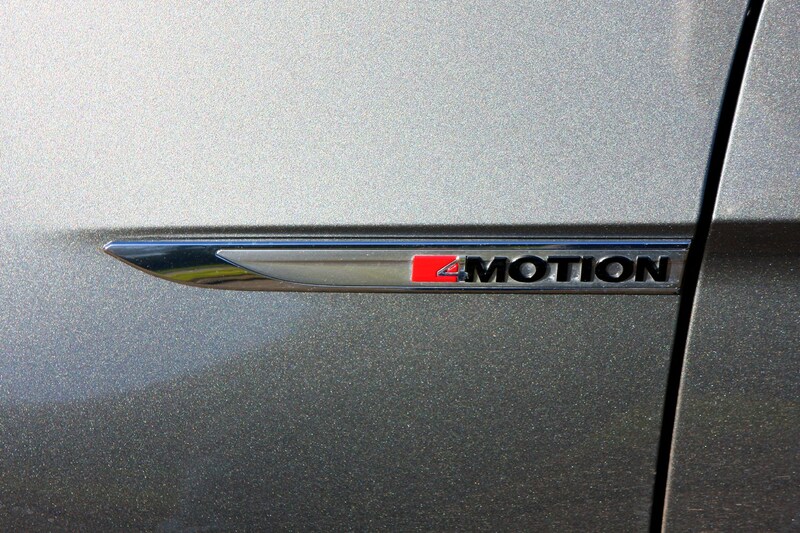 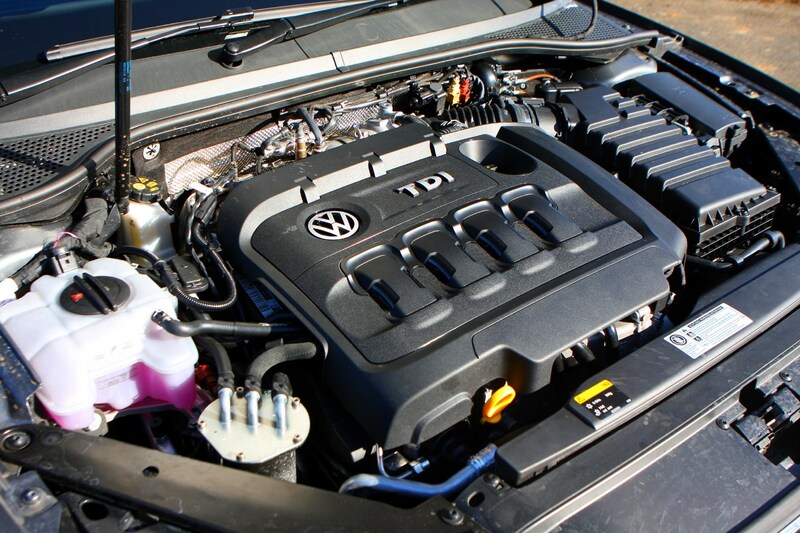 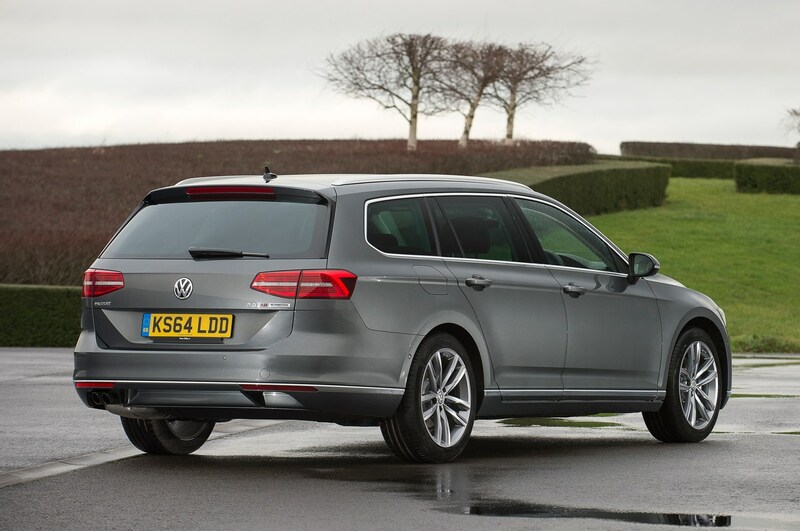 Expect all-wheel drive on these models to handle the substantial power on tap. 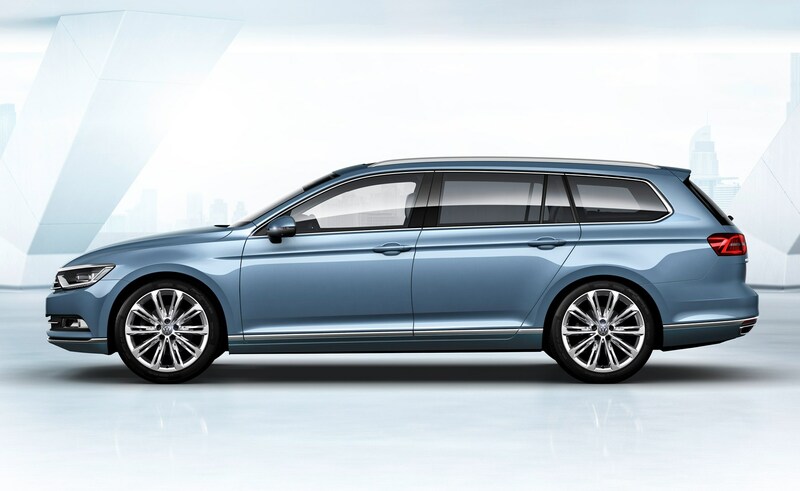 Volkswagen has somewhat simplified the range structure for the Passat Estate in the 2019 update. 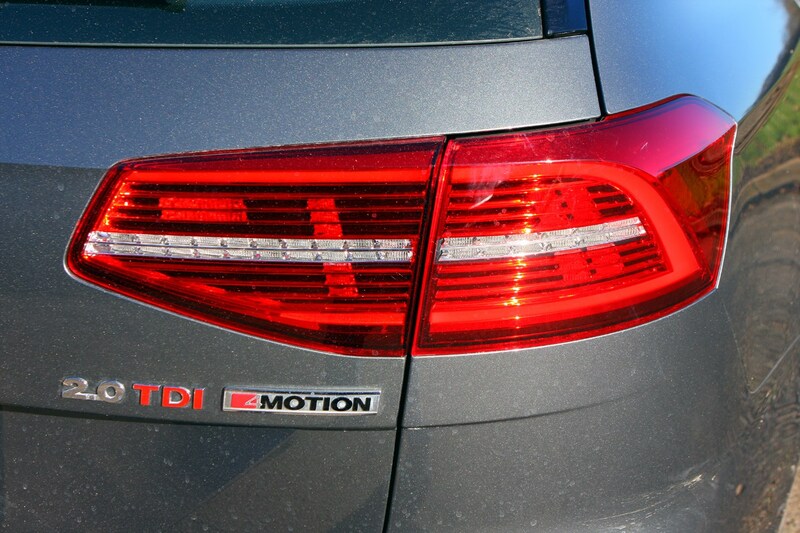 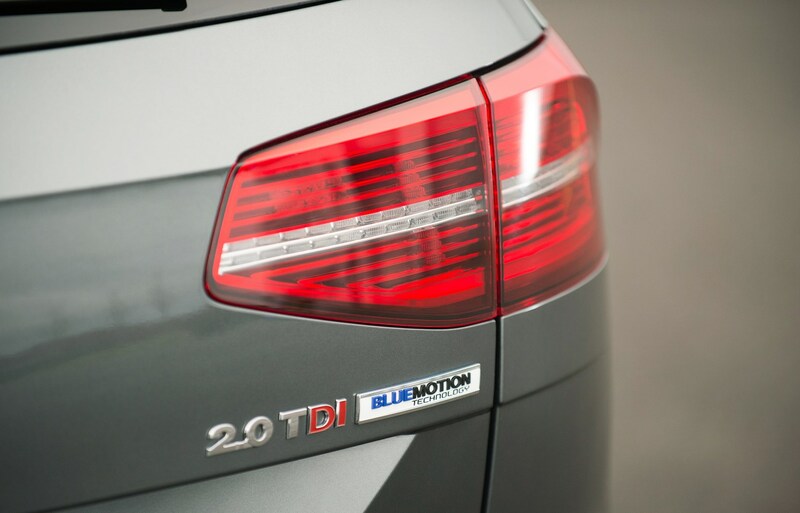 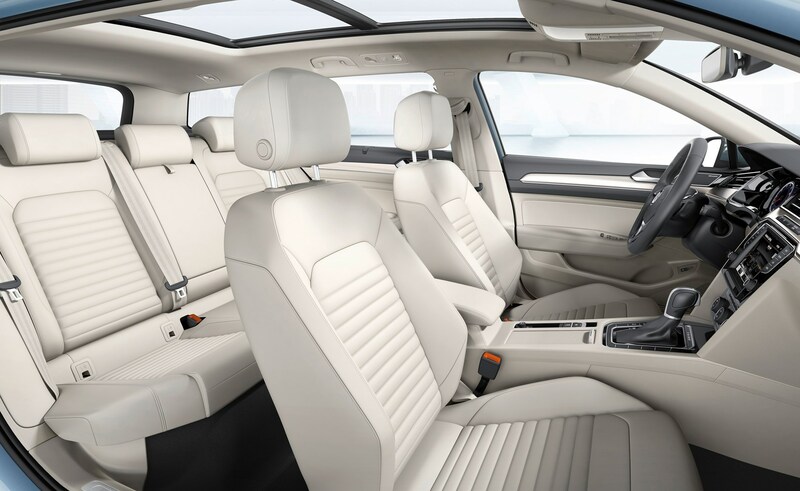 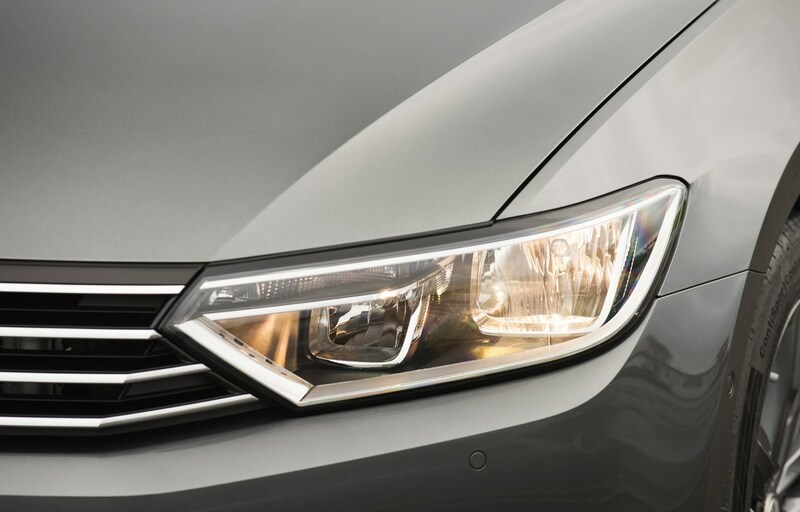 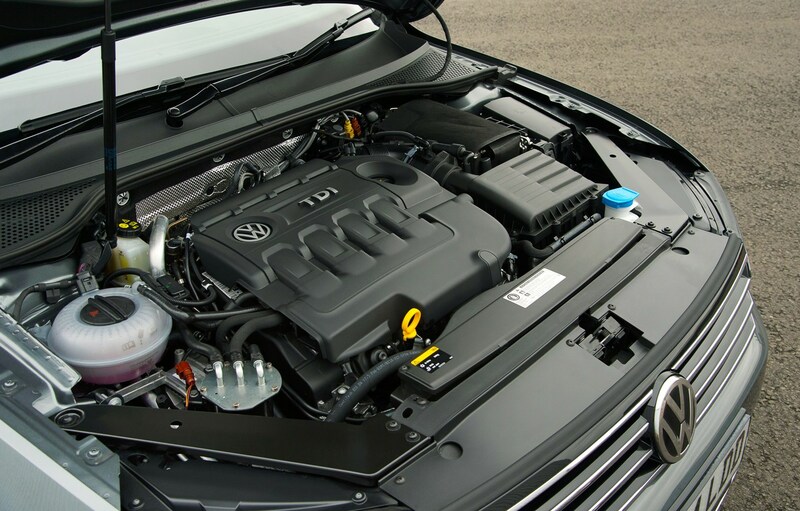 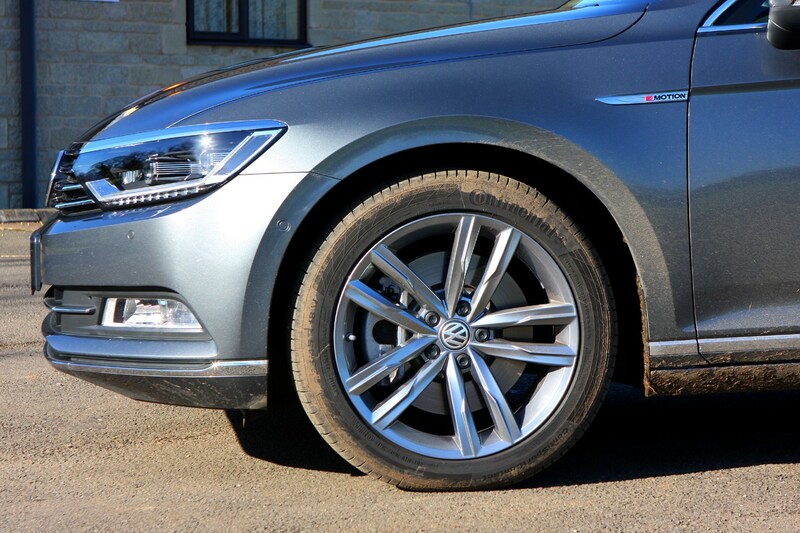 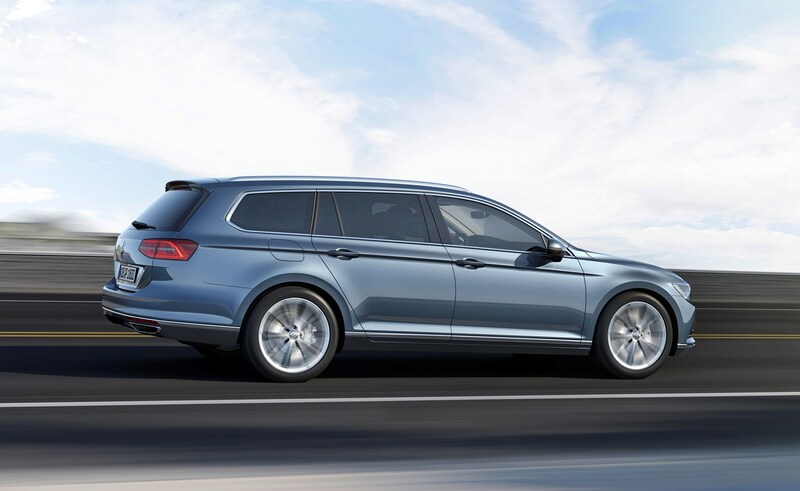 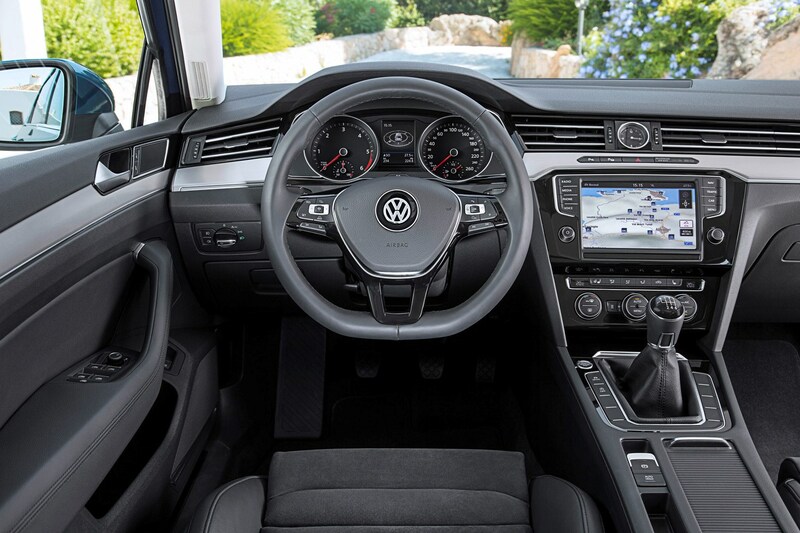 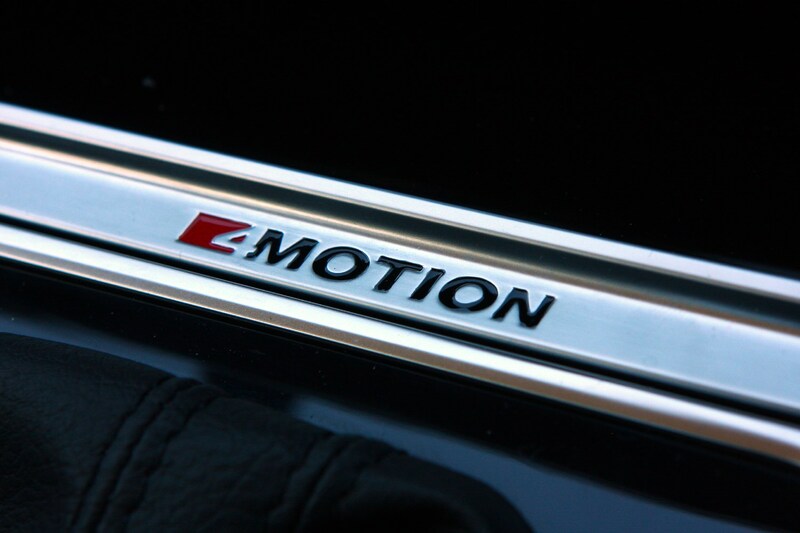 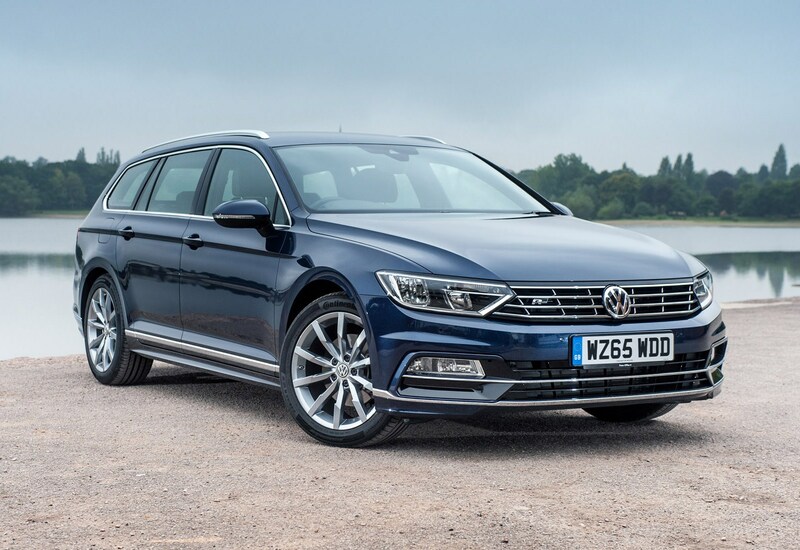 Entry-level models are known as 'Passat', with Business adding extra kit on top and Elegance above that. 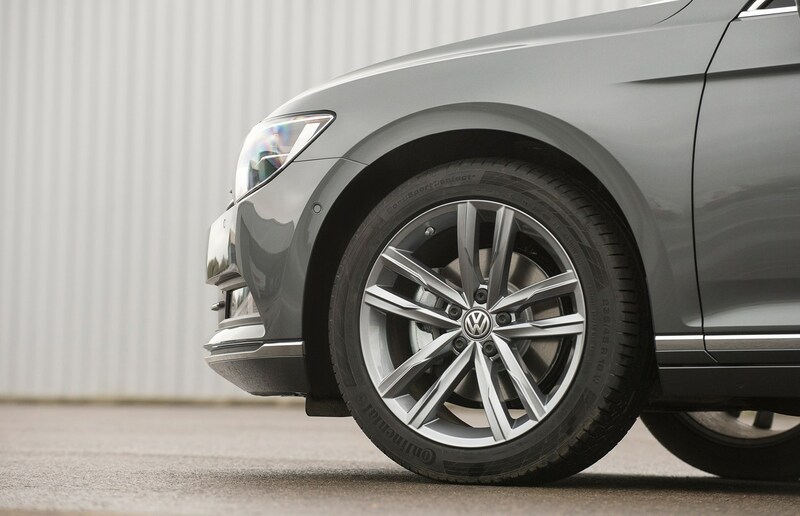 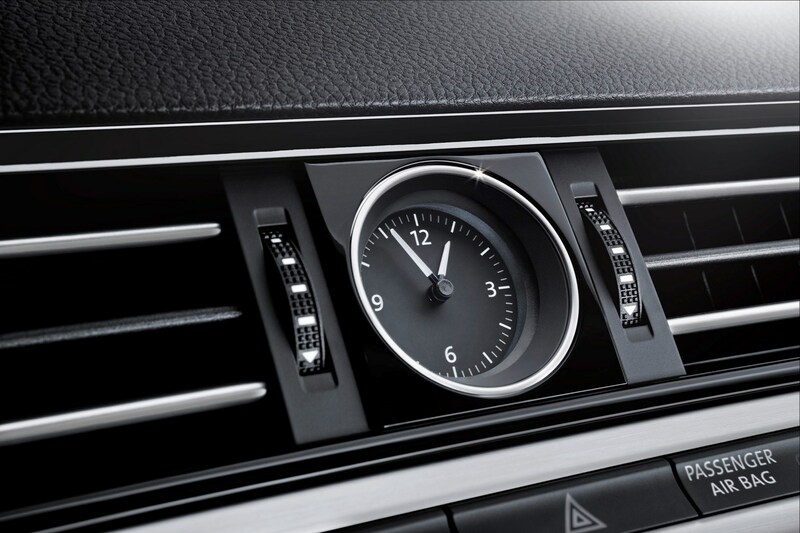 Both Business and Elegance models can be ordered with sporty R-Line extras on top. 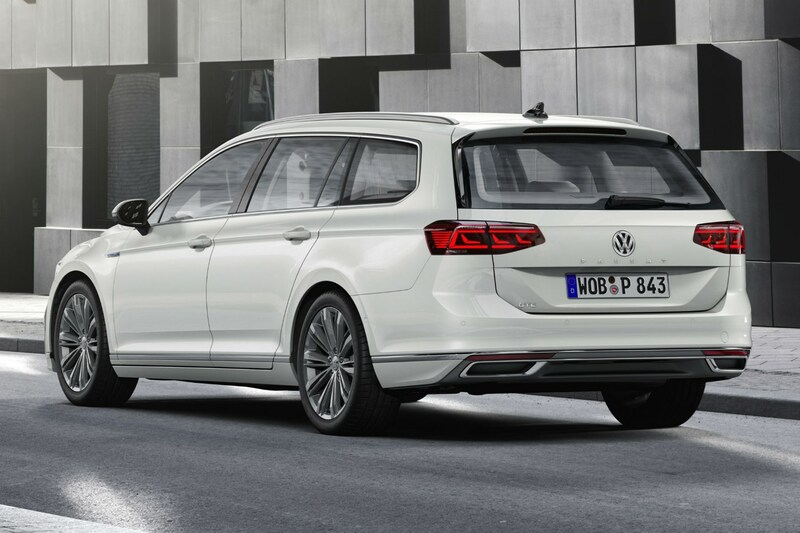 The plug-in hybrid GTE model gets its own set of equipment, as does the estate-only off-road oriented Alltrack. 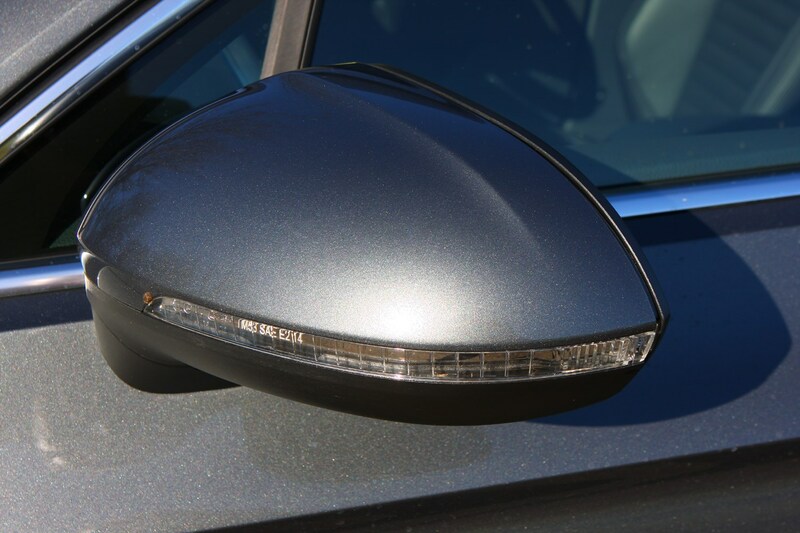 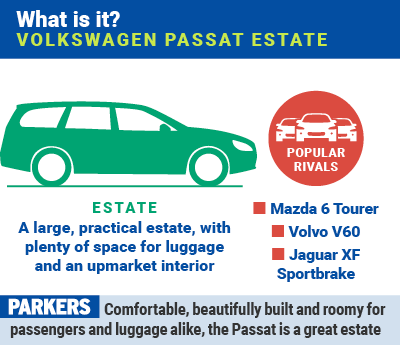 Both have distinctive looks, too, separating them from the rest of the range. 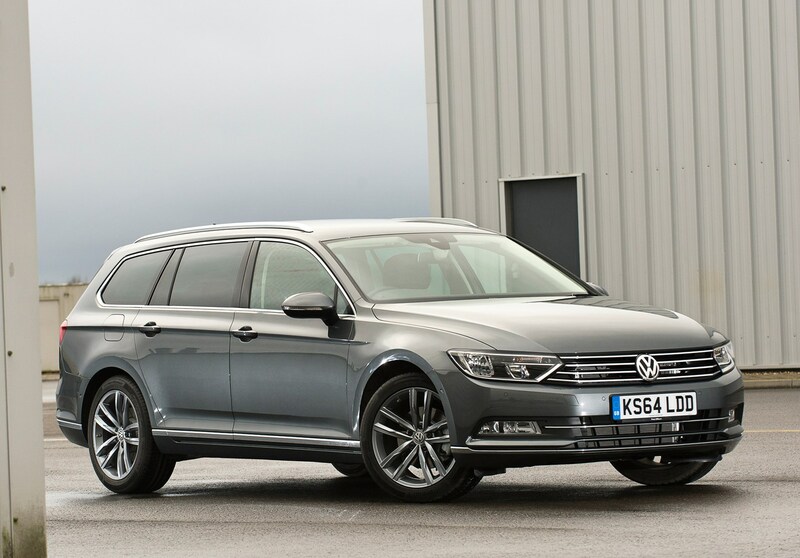 Should you buy a Volkswagen Passat Estate? 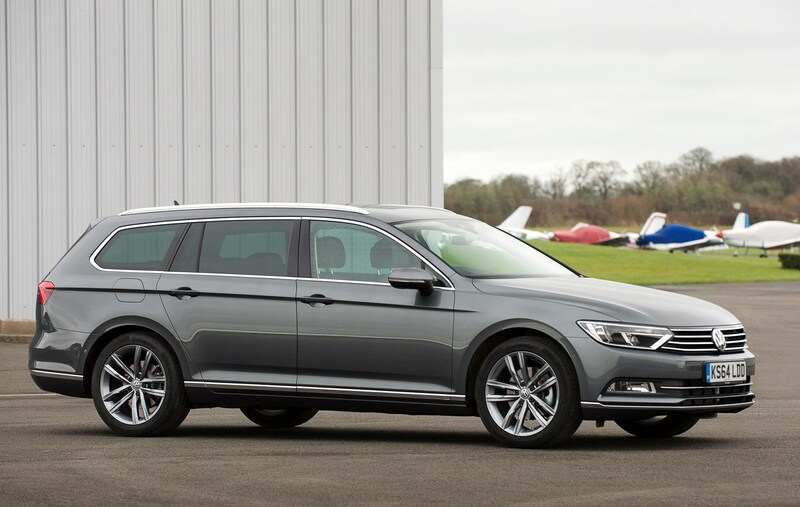 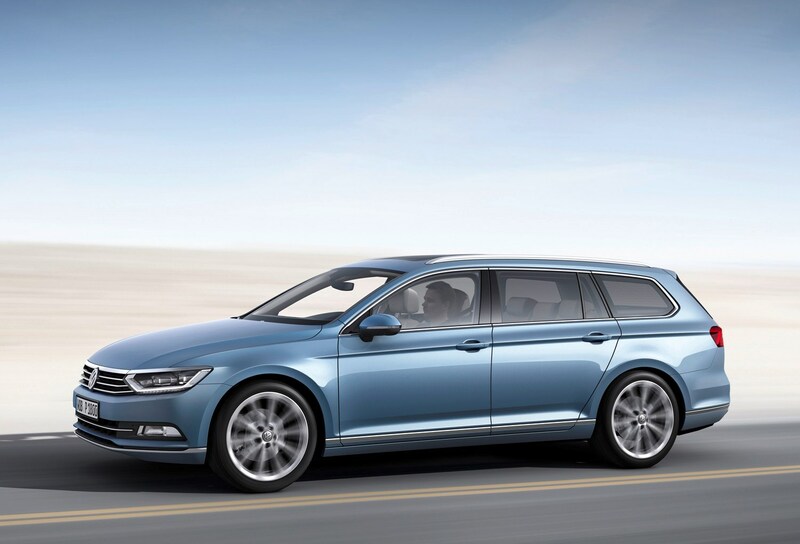 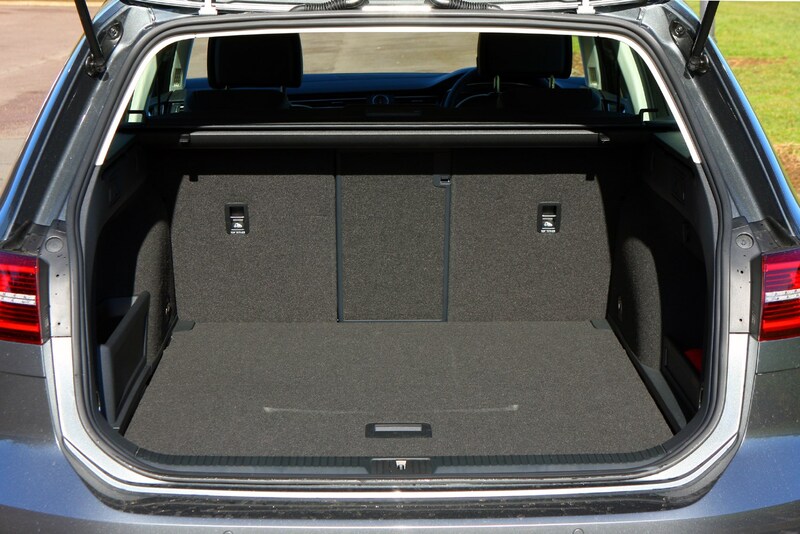 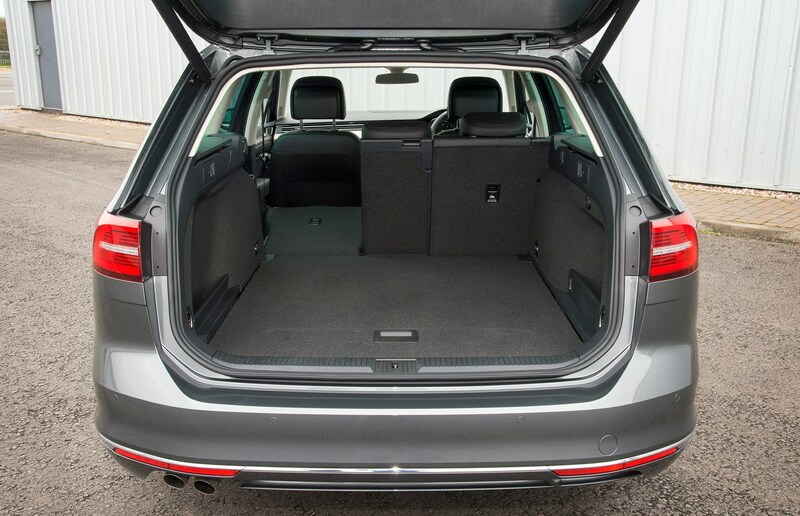 If you’re in the market for a Passat Estate, no car in the class does it better. 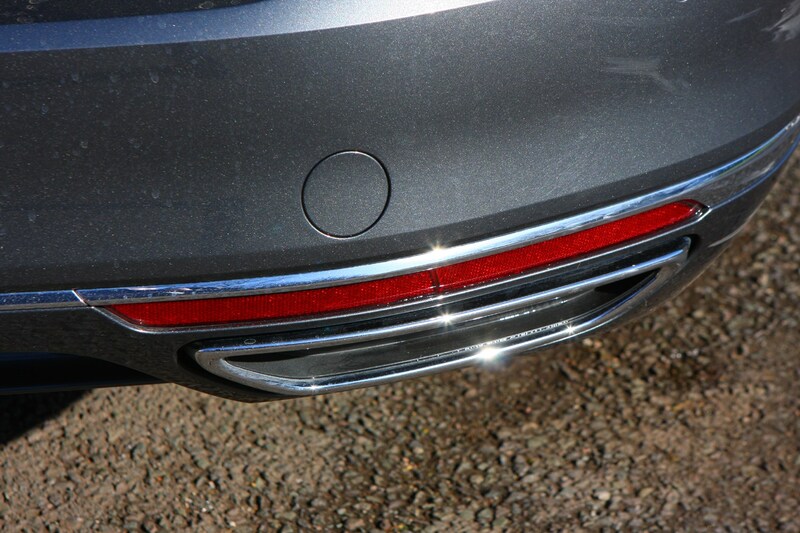 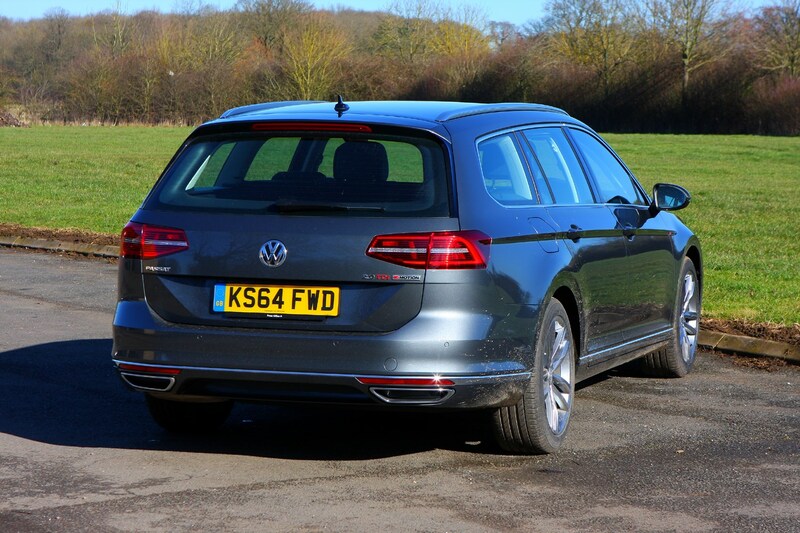 It’s still the most comfortable and the huge boot roundly eclipses the competition. 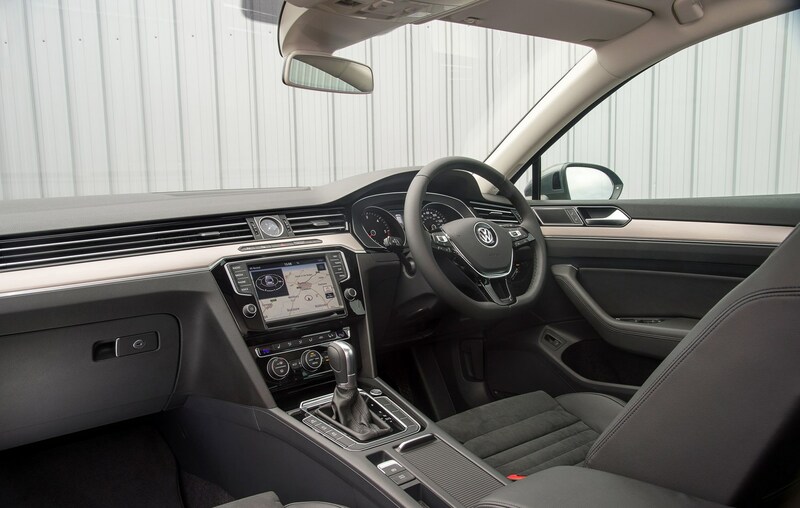 It’s cheap enough to run - with economical petrol, diesel and plug-in hybrid options - and won’t break the bank either, thanks to good value PCP finance deals. 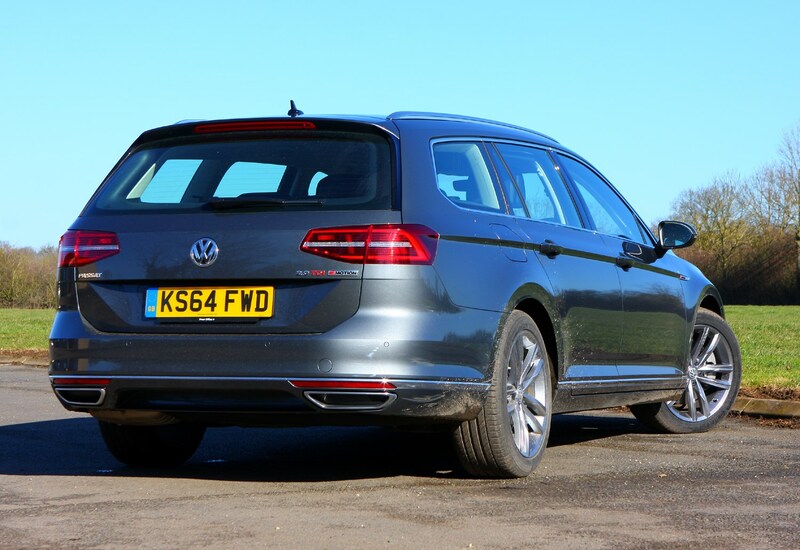 It feels more refined than ever too, which is no mean feat and treads a fine line between being impressively comfortable while remaining sharp enough to drive. 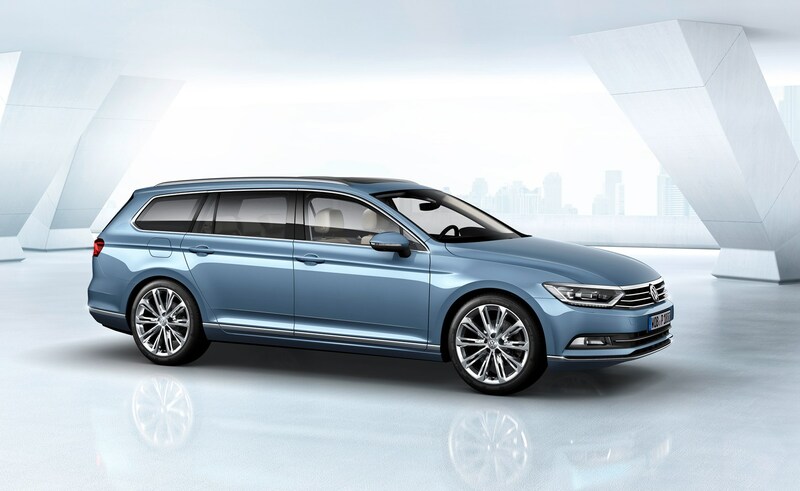 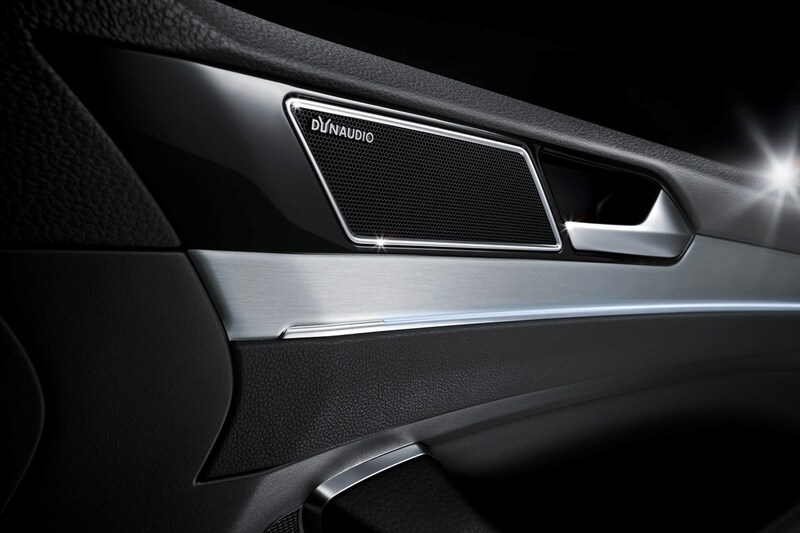 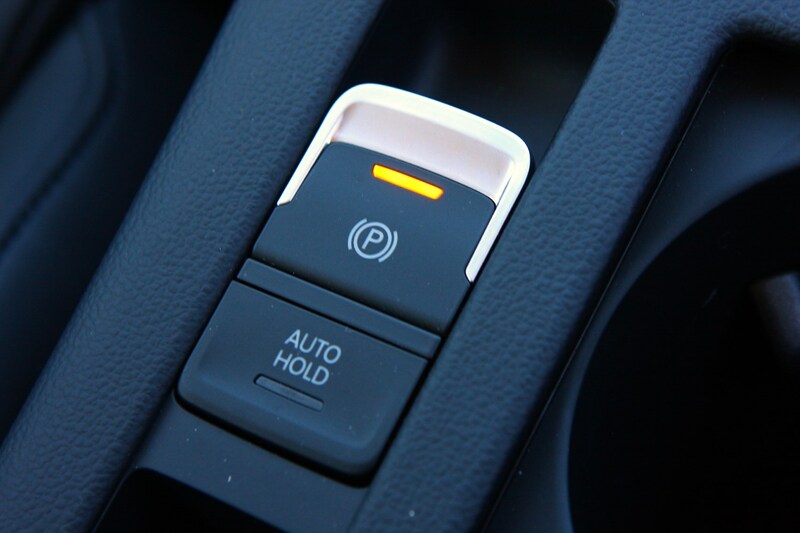 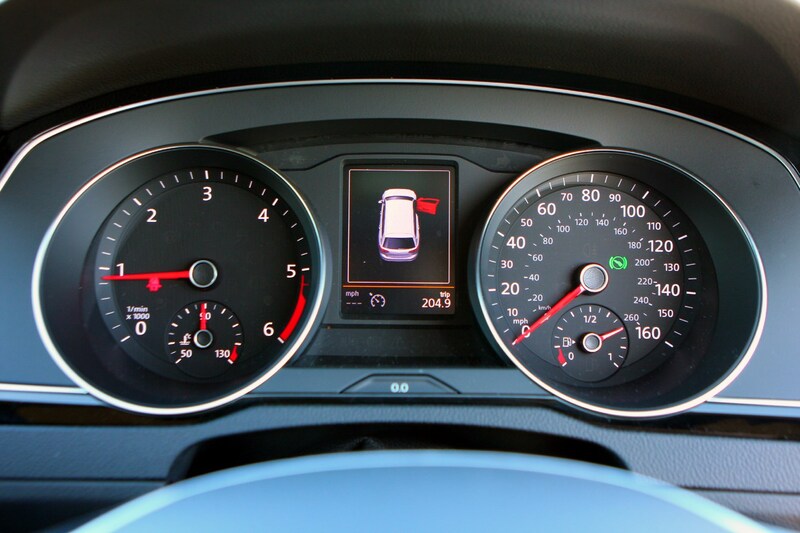 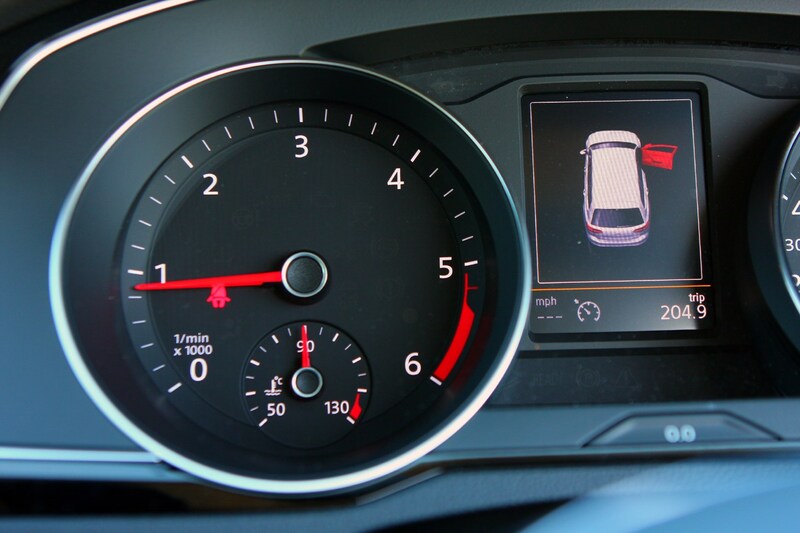 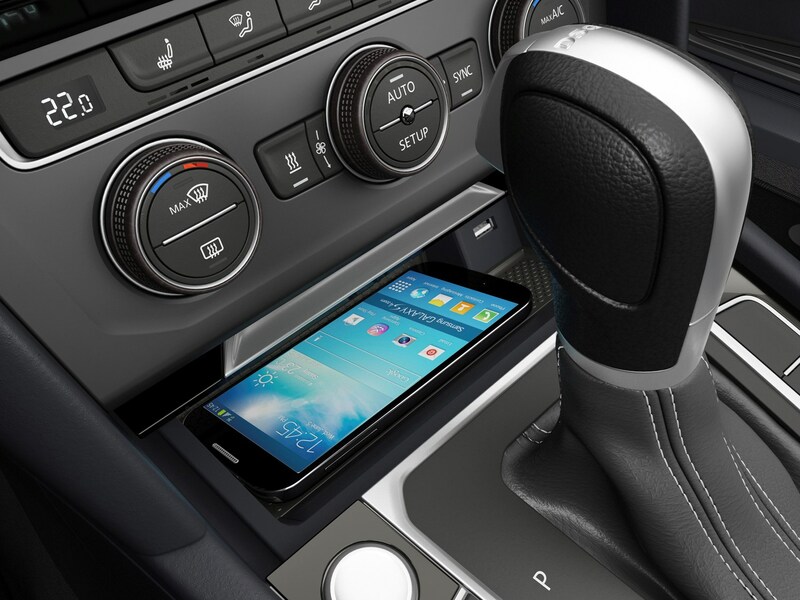 New in-car tech and self-driving kit, simply add to the Passat Estate's appeal. 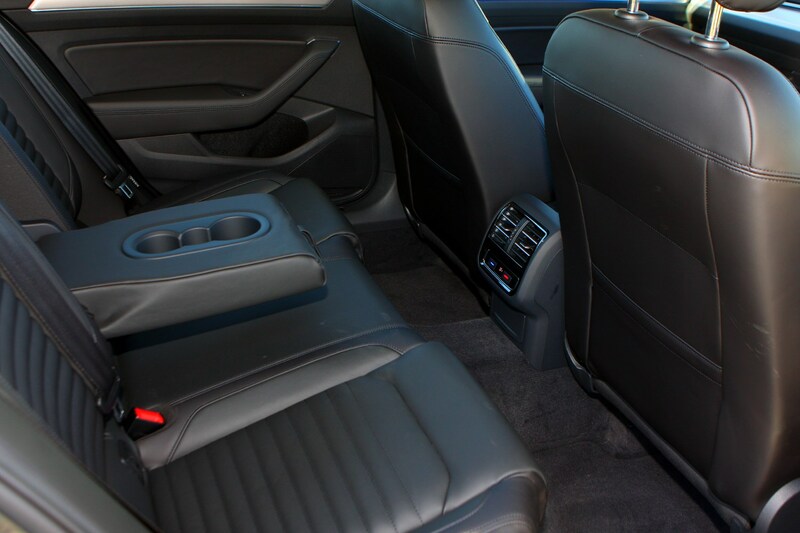 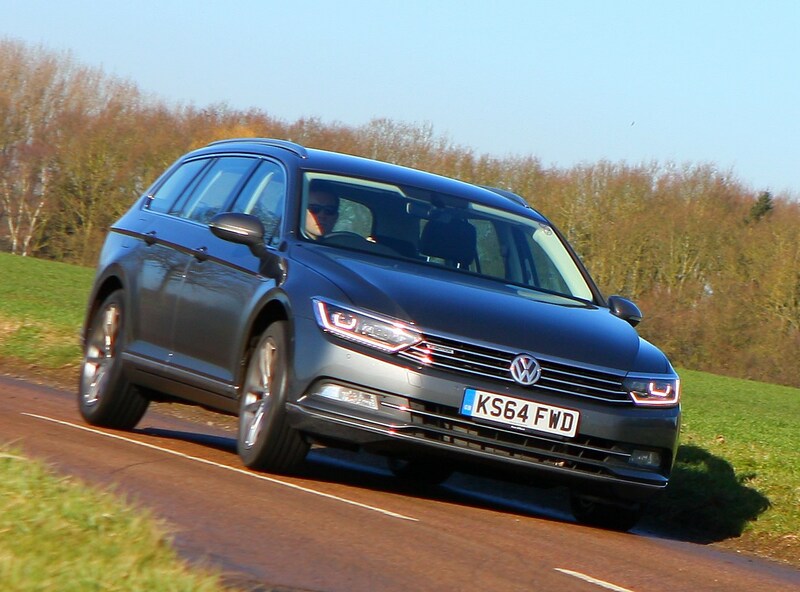 Sure, it’s not as enjoyable to drive as the Ford Mondeo or Mazda 6 for keen drivers, but remember the fact that the vast majority of these cars will go to fleet drivers who cover more miles than the average Boeing 747 and the focus on comfort makes perfect sense. 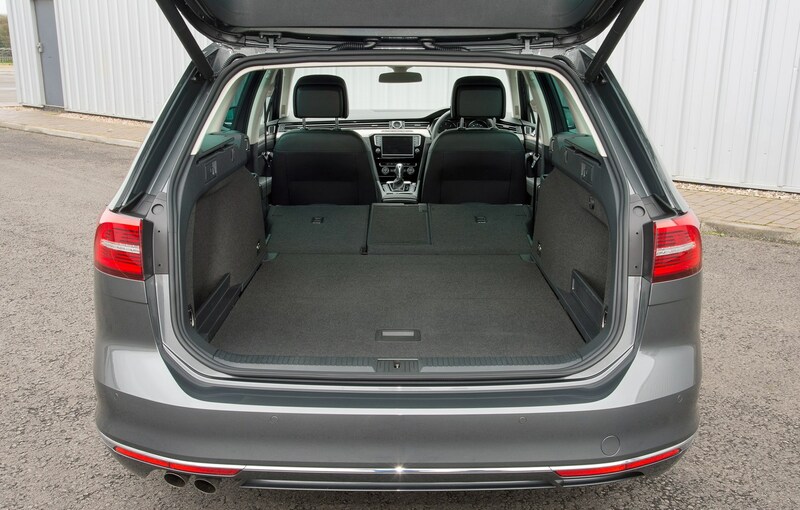 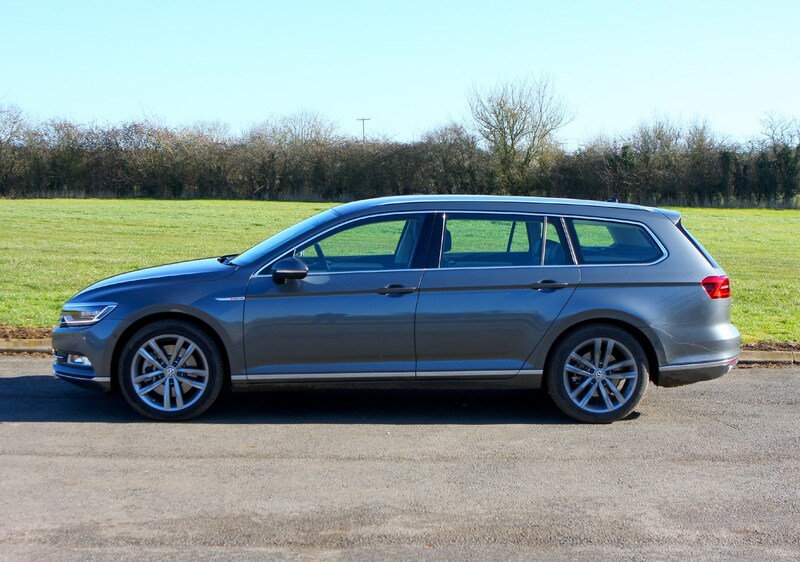 In short, it's not perfect, but the Passat Estate has to be one of the most comfortable, practical, upmarket and - all things considered - best value estate cars available. 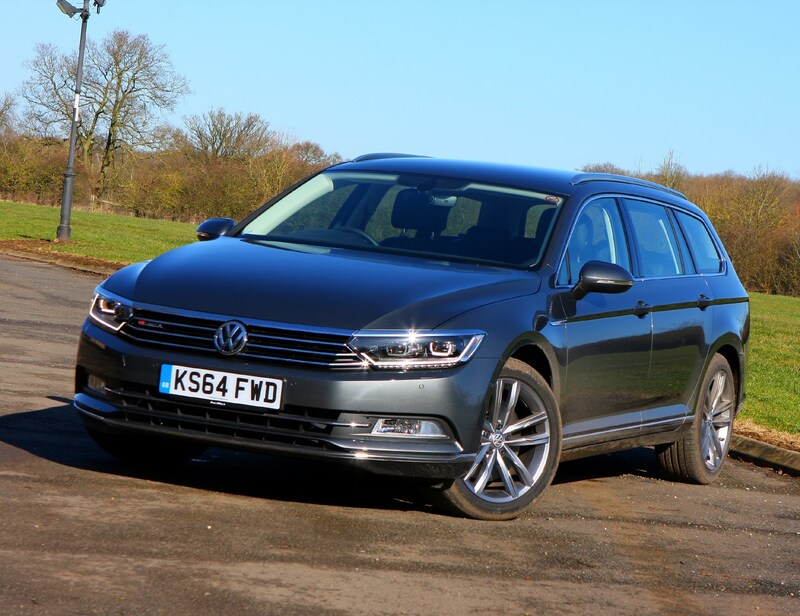 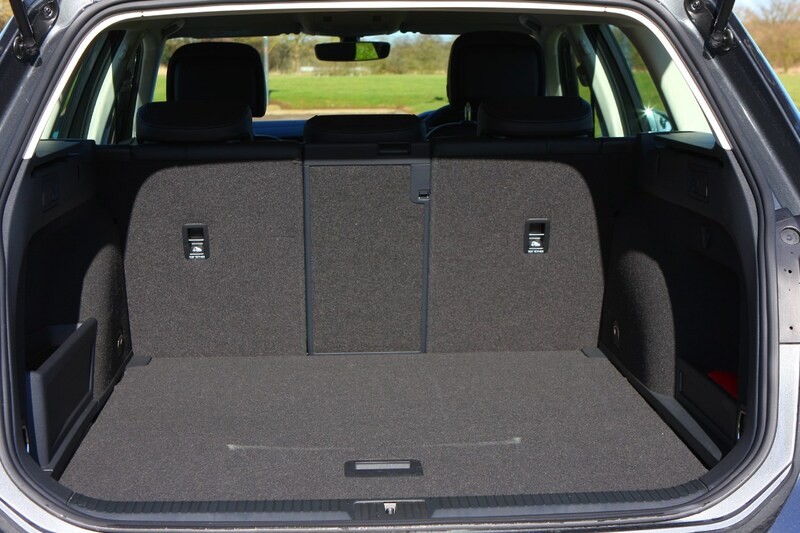 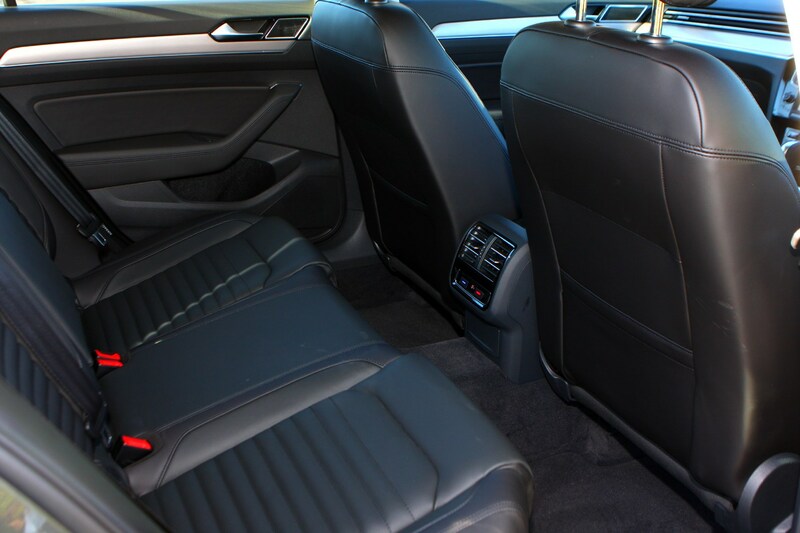 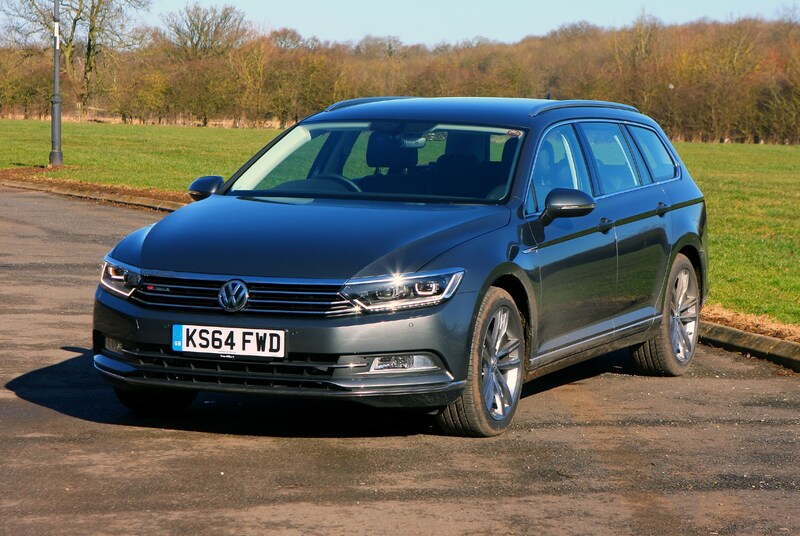 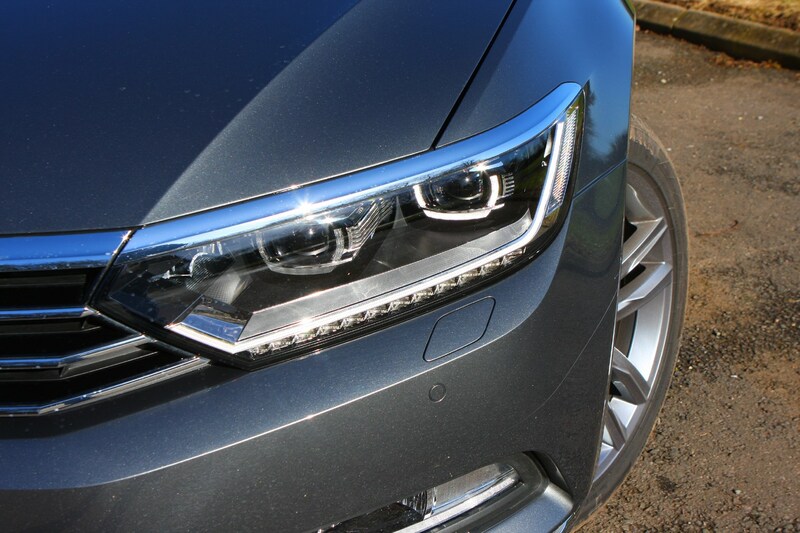 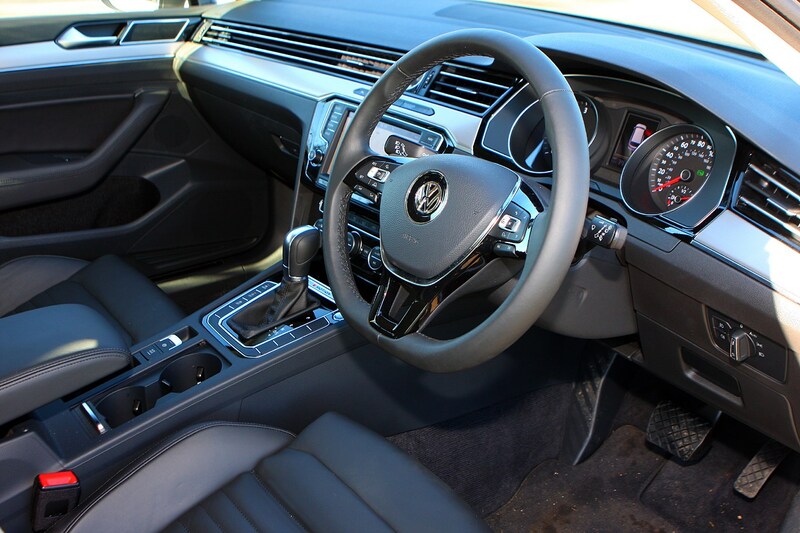 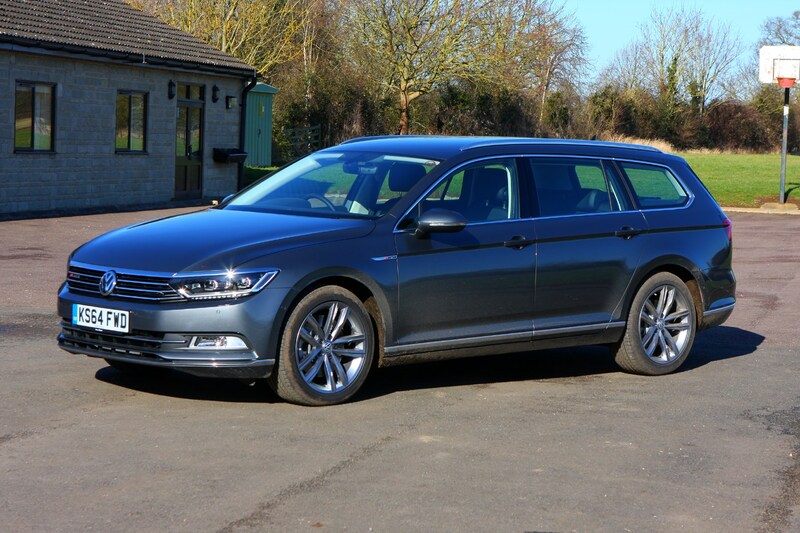 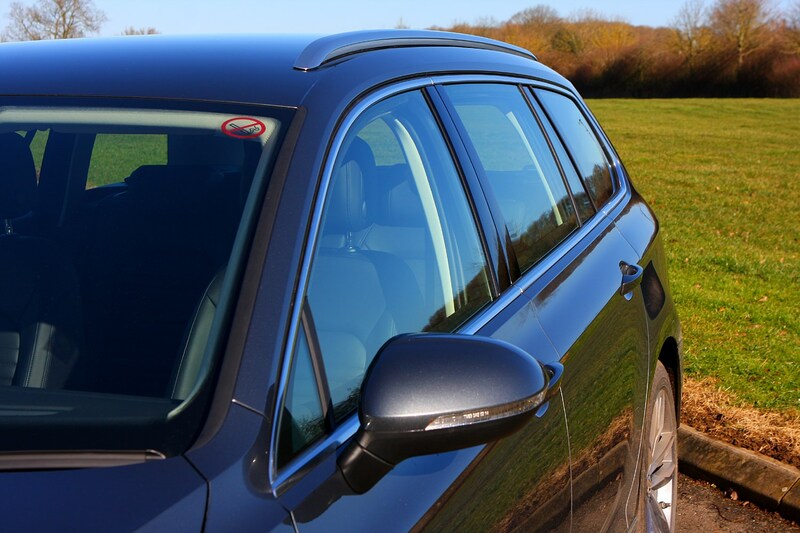 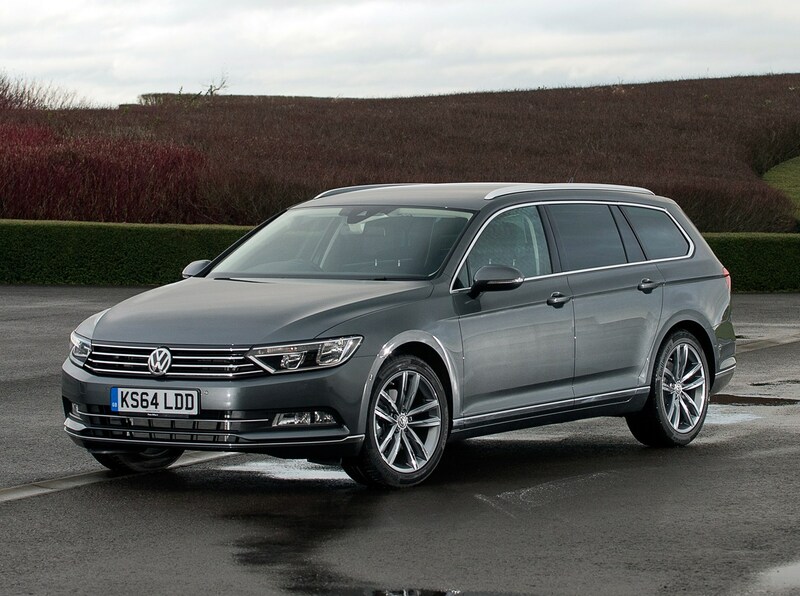 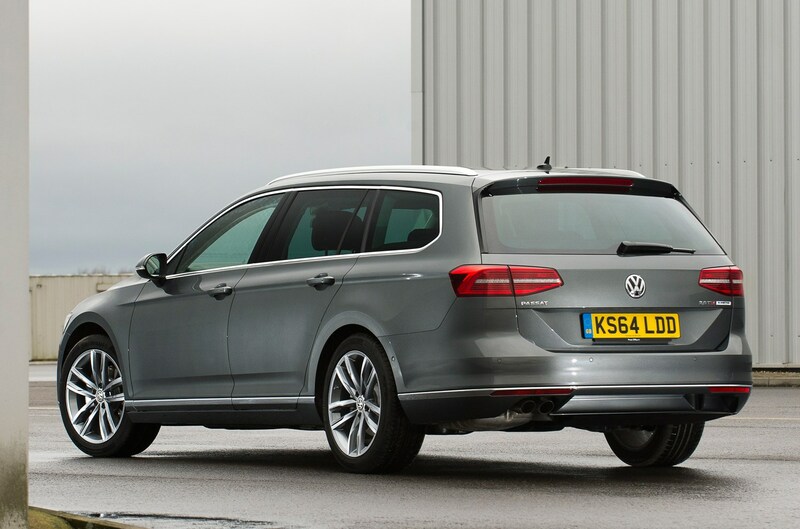 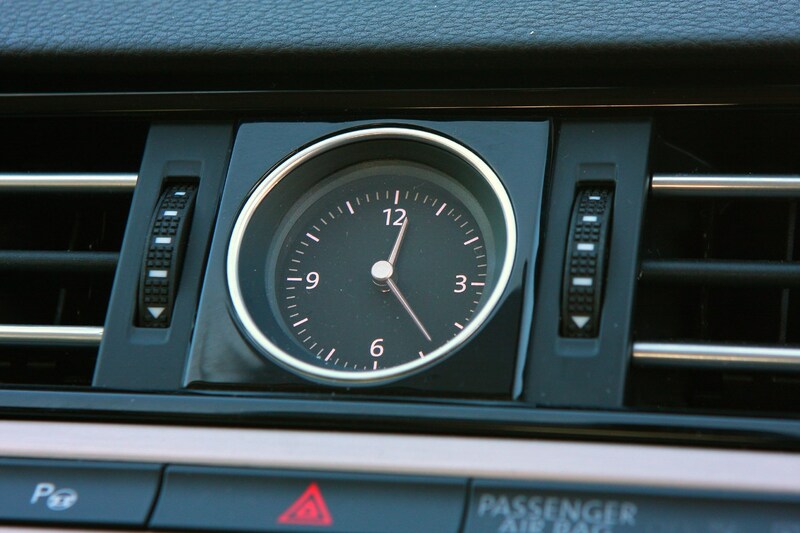 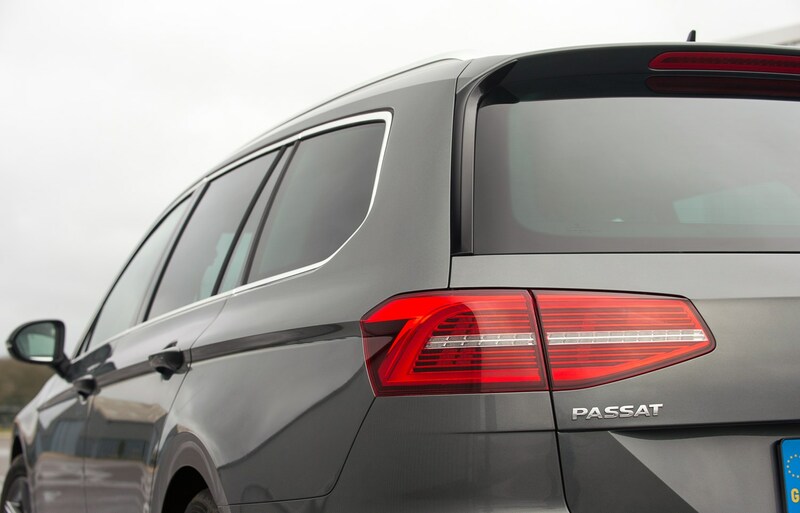 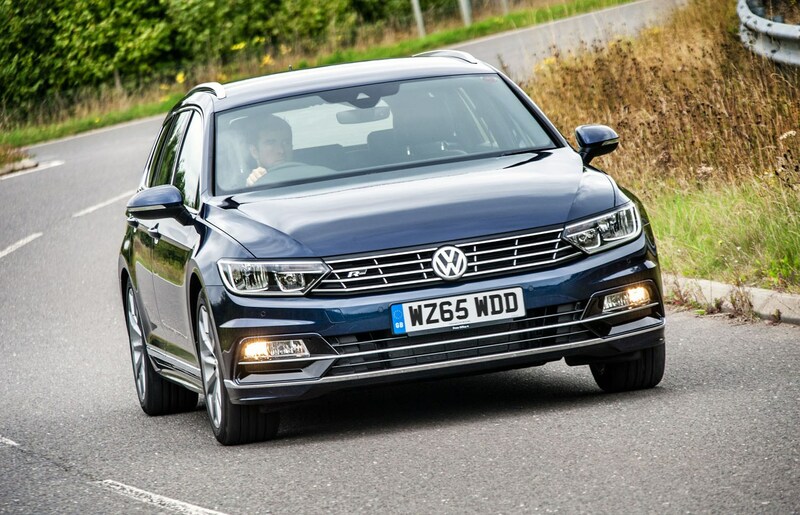 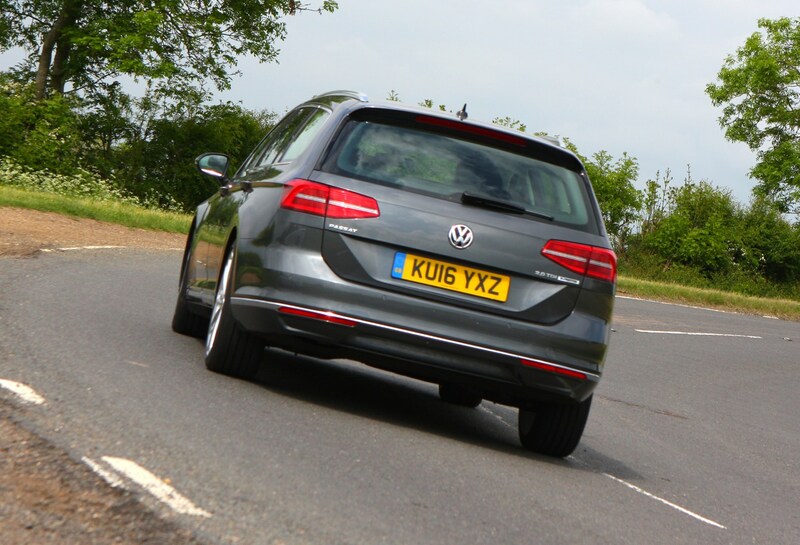 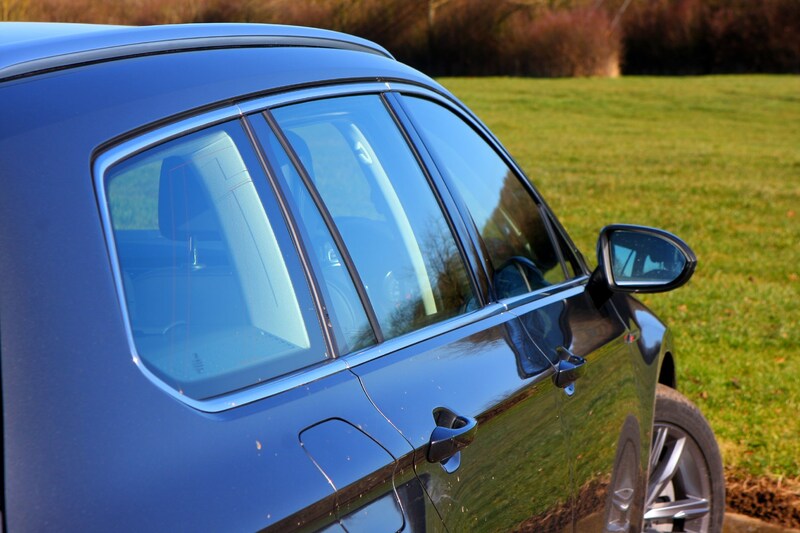 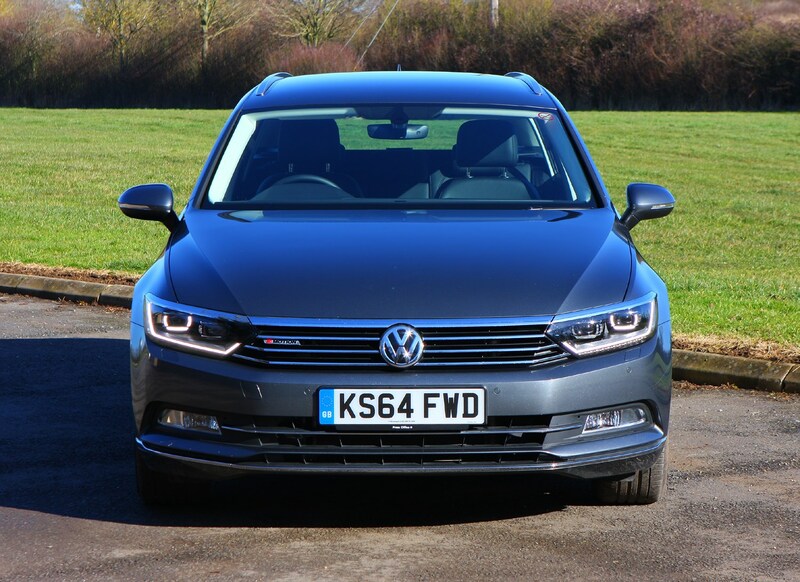 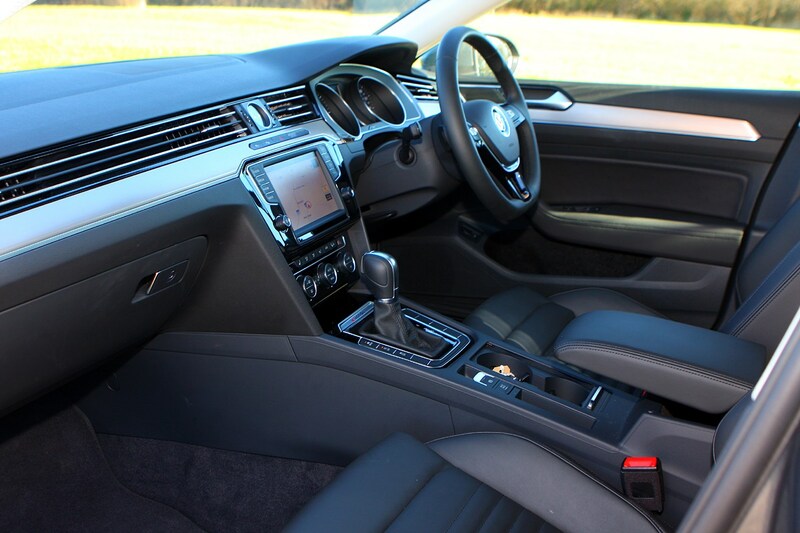 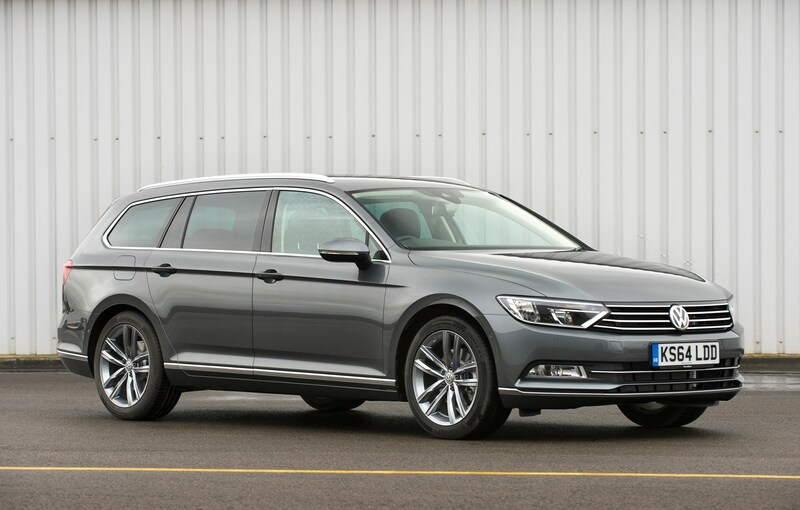 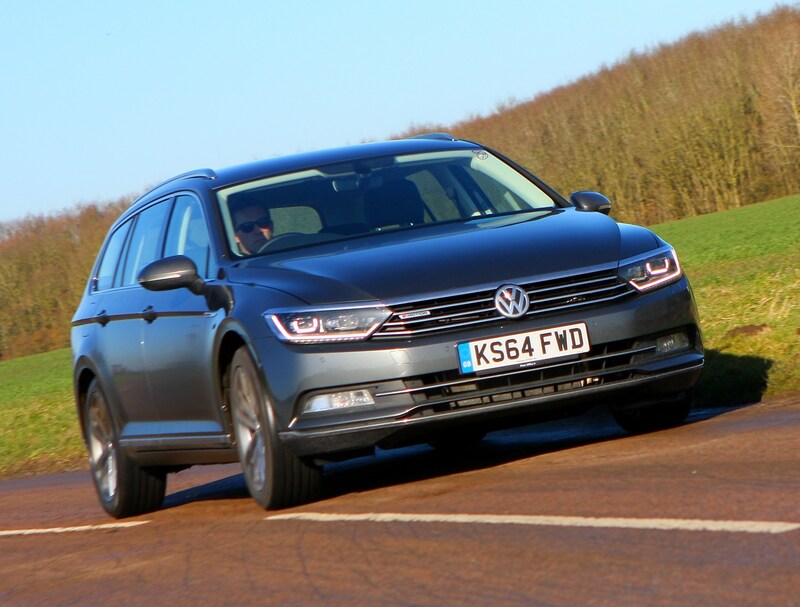 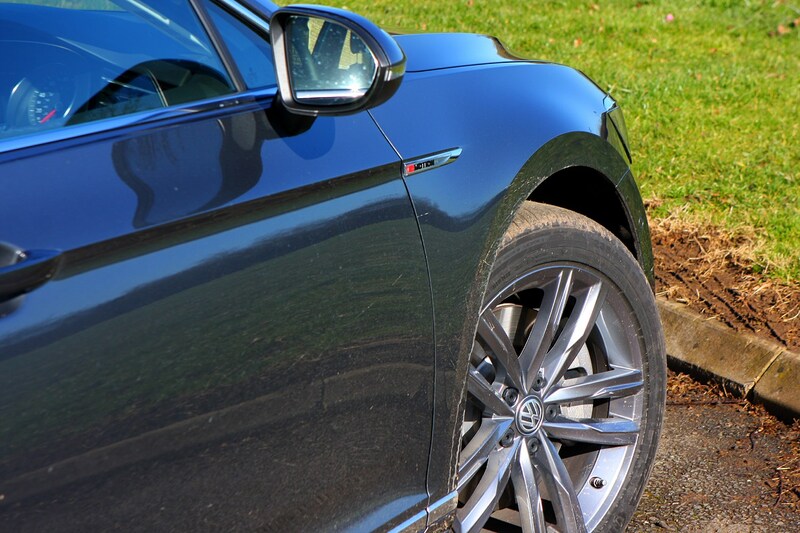 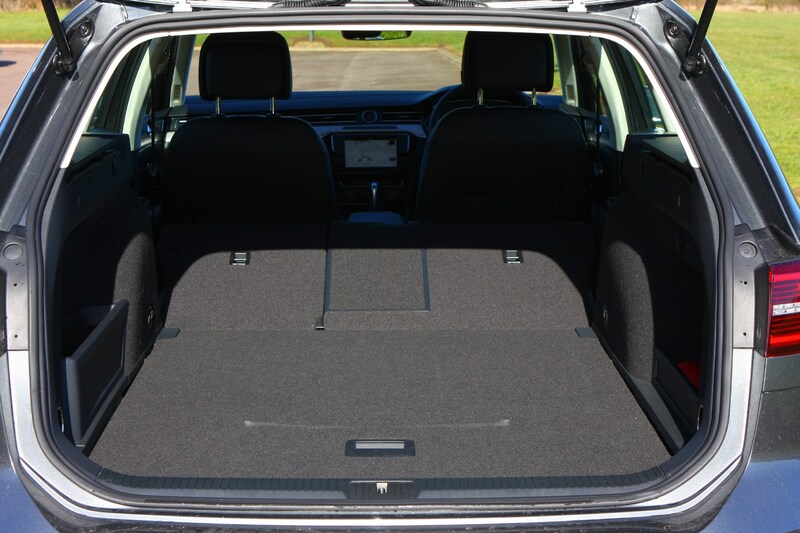 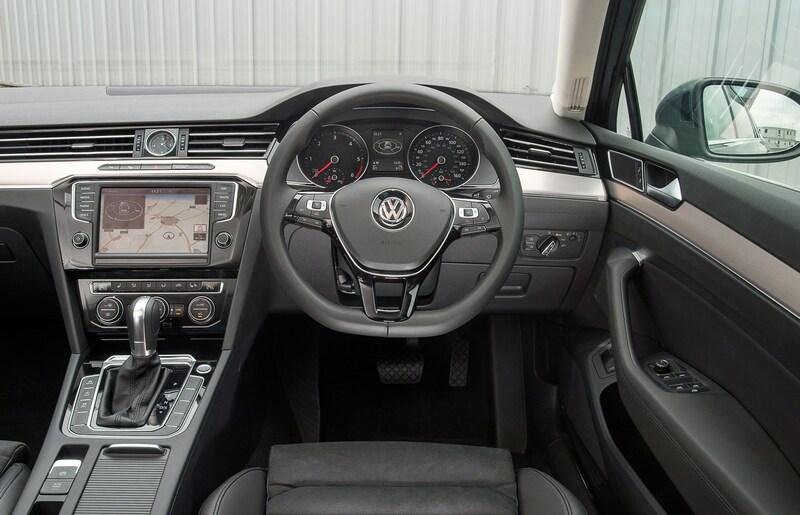 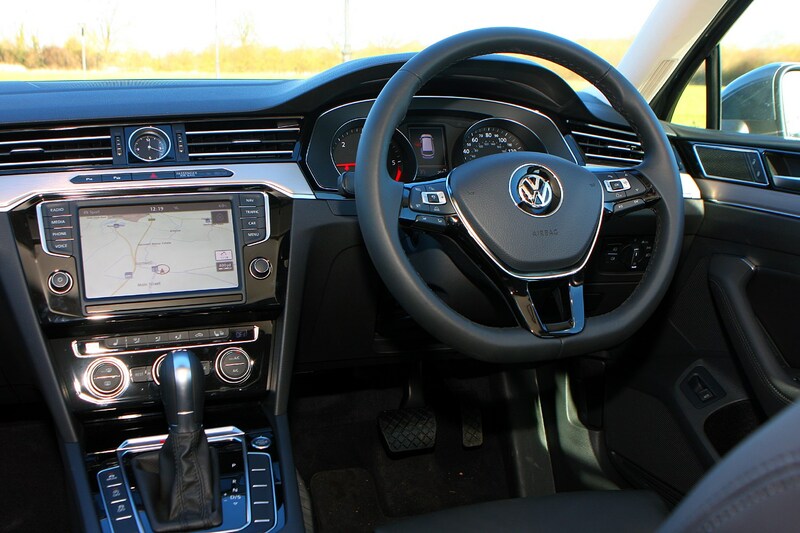 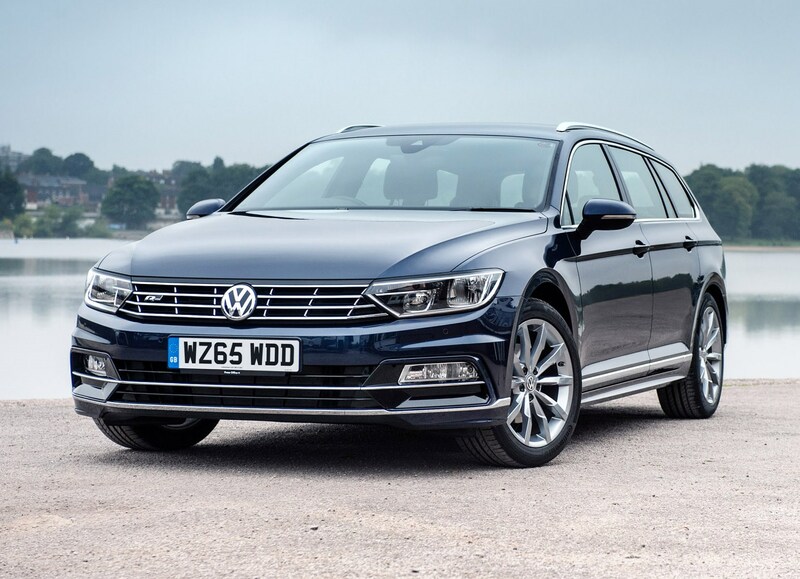 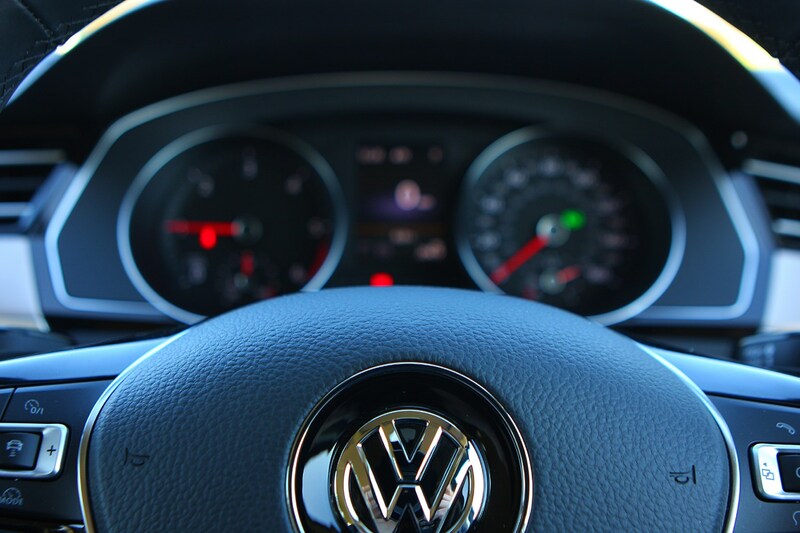 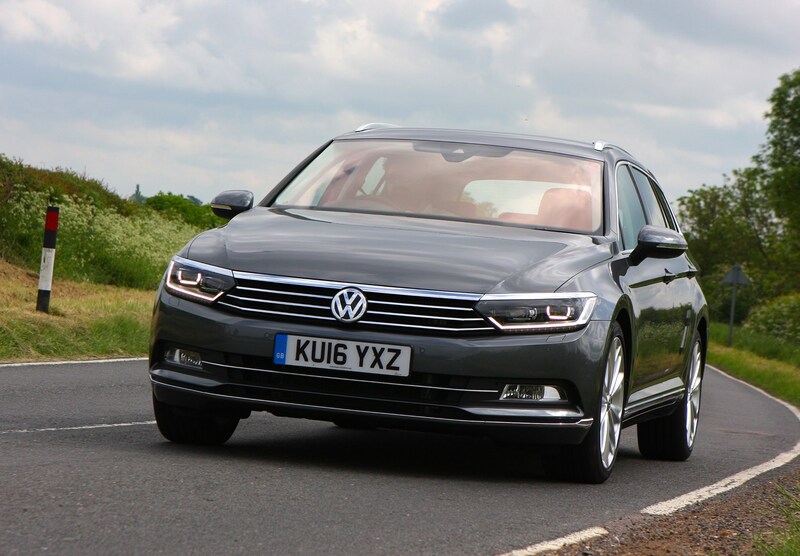 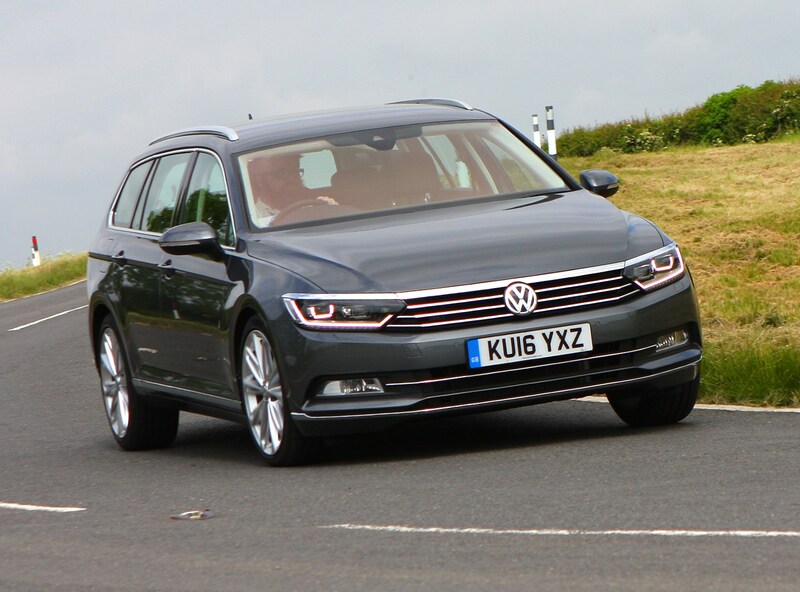 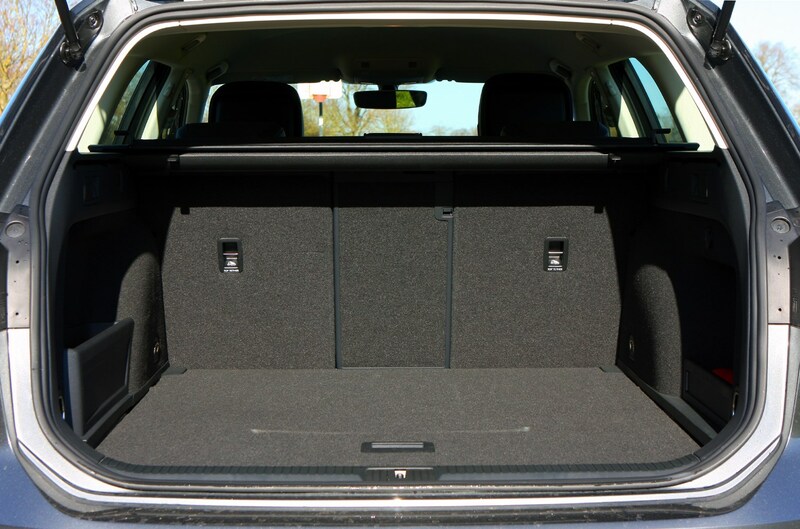 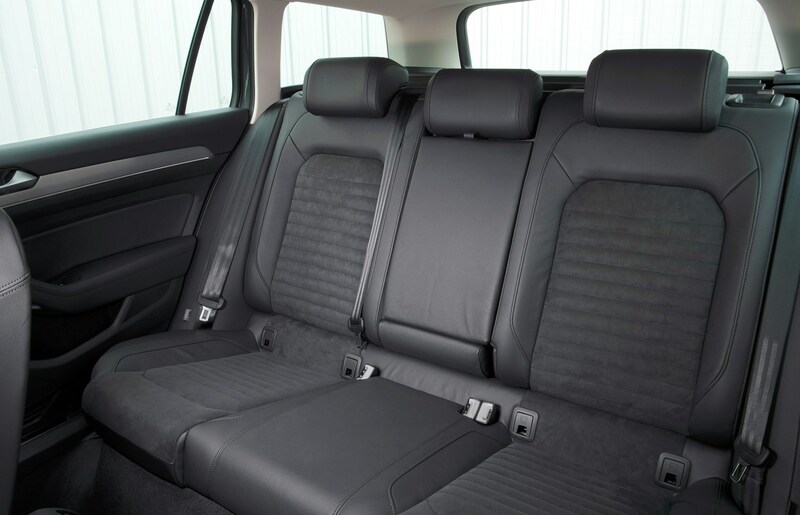 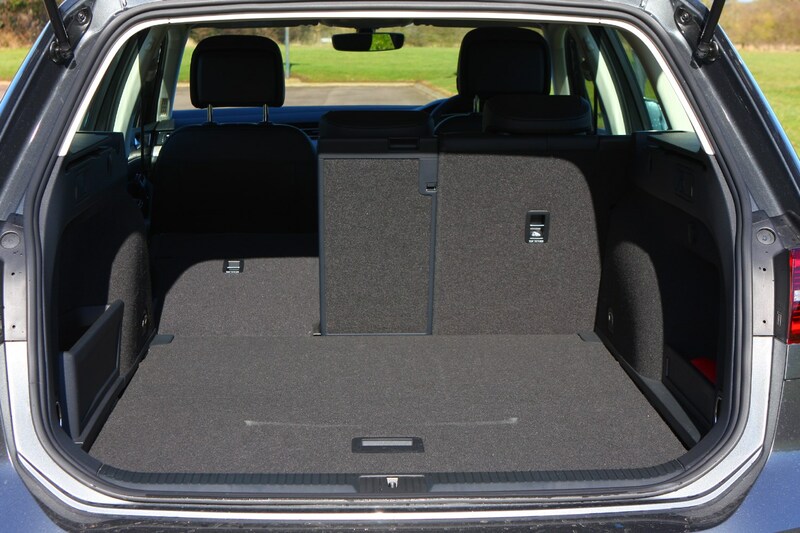 Read on for the full Parkers Volkswagen Passat Estate review.